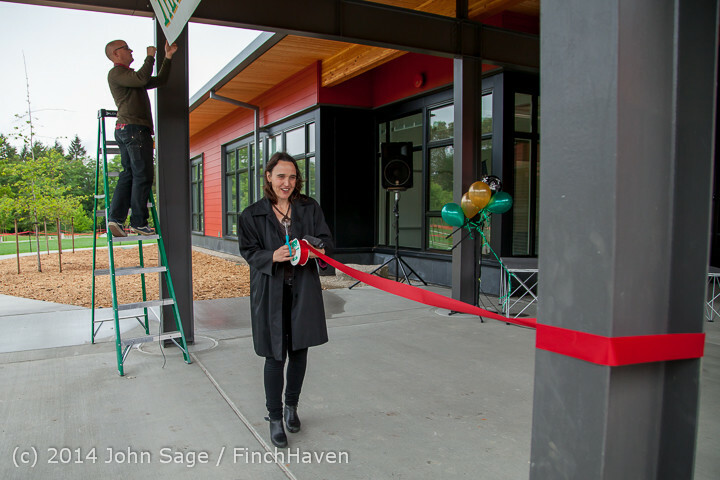 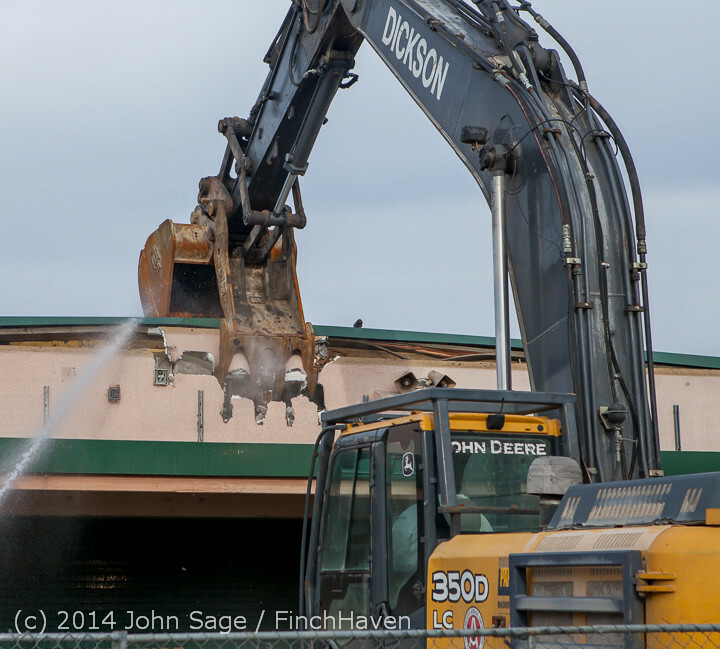 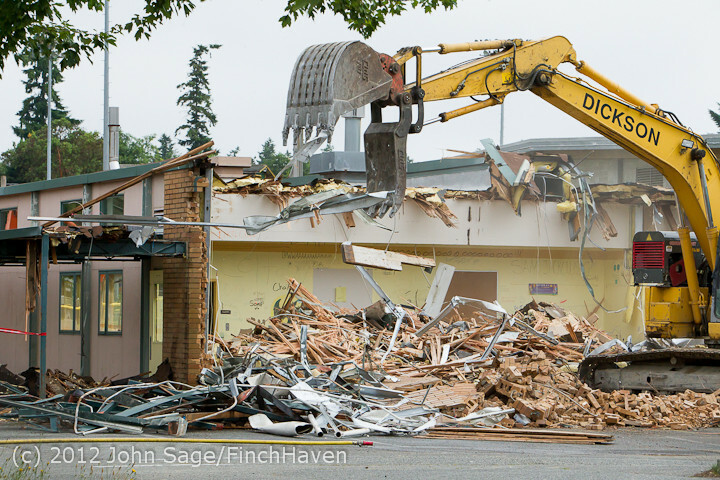 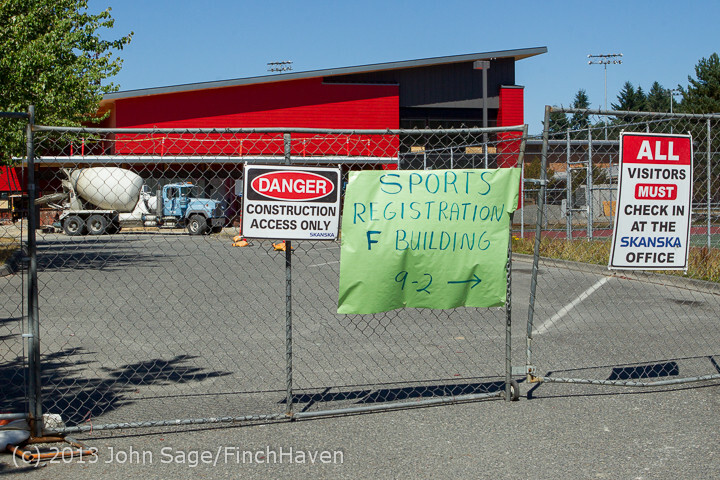 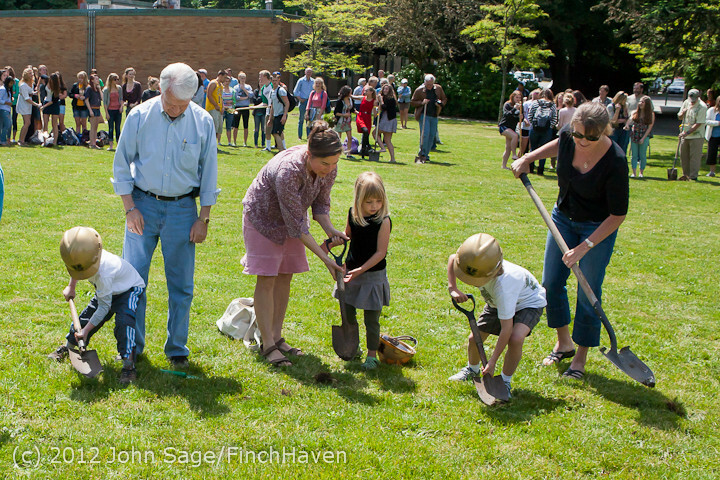 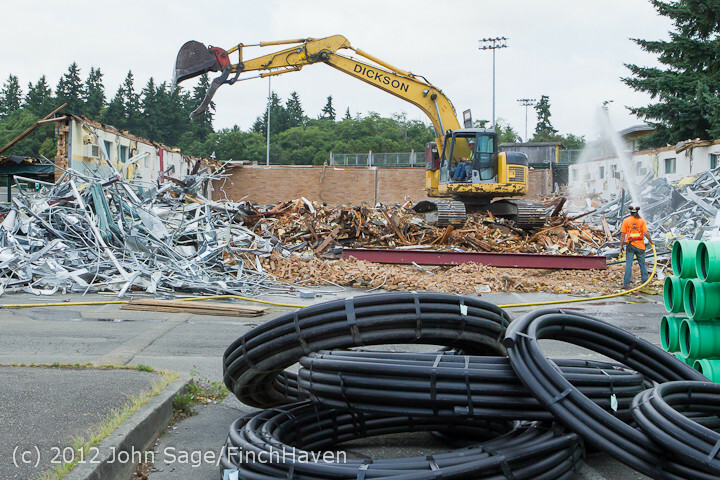 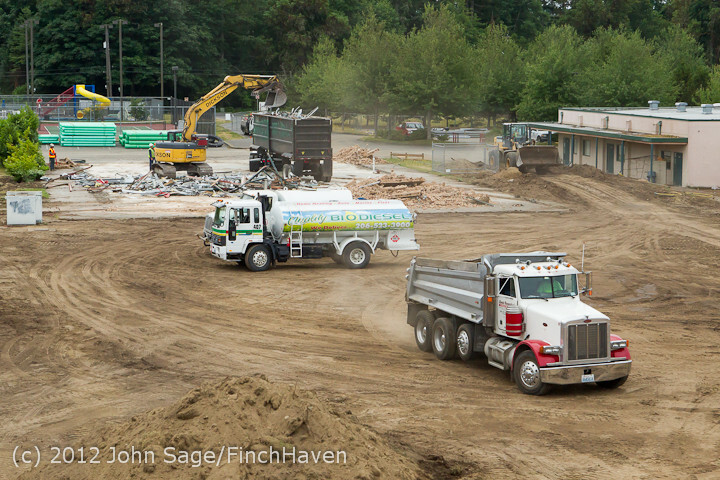 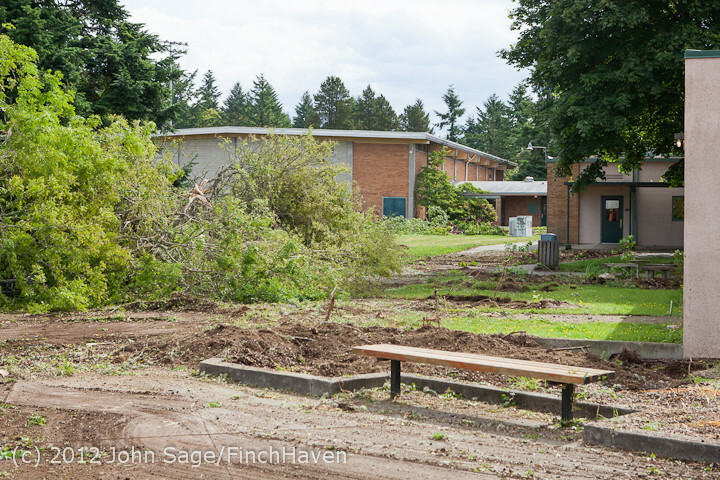 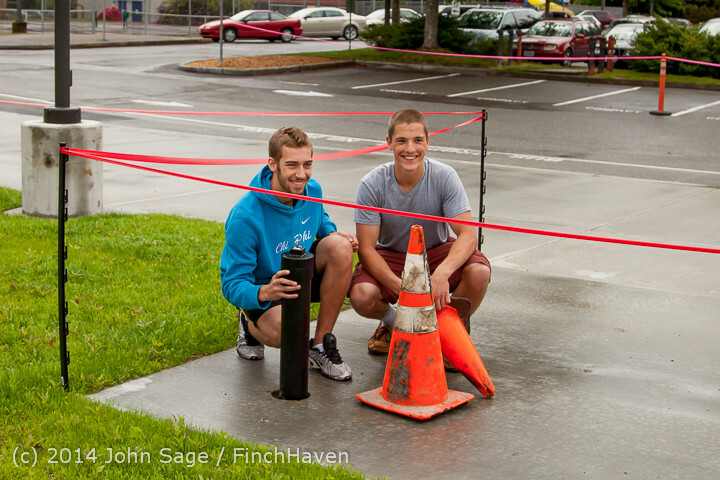 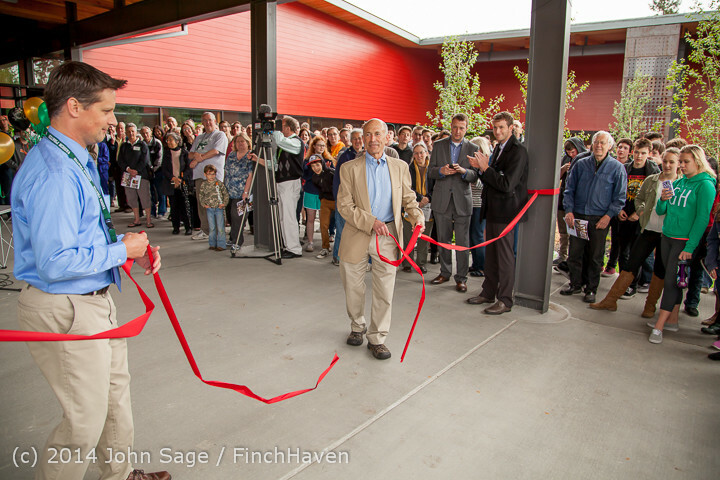 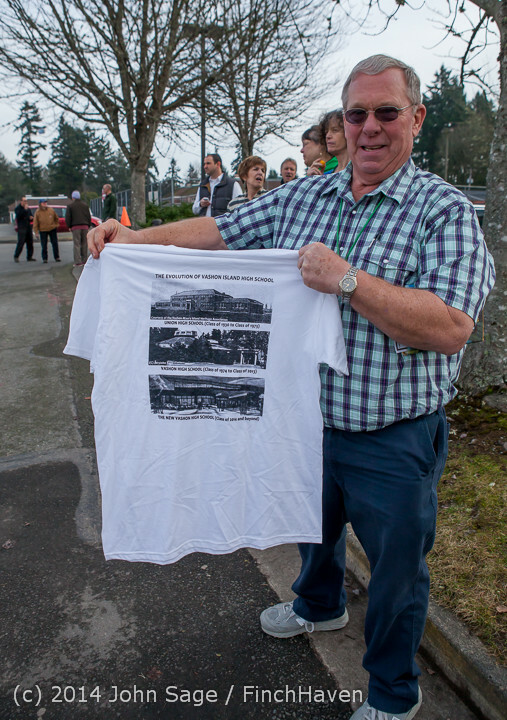 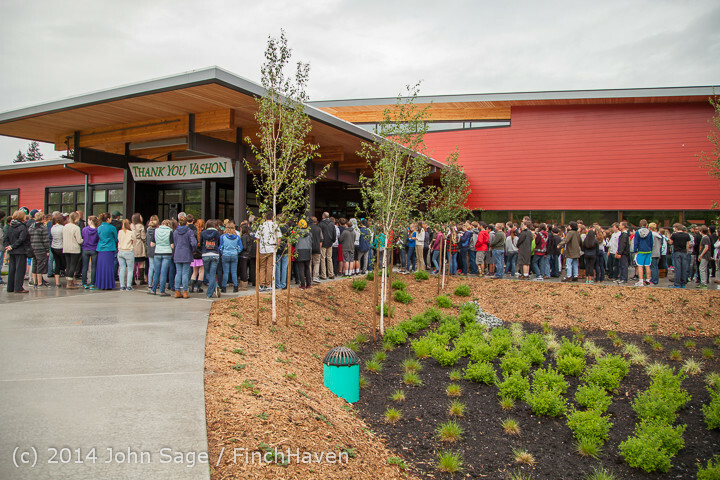 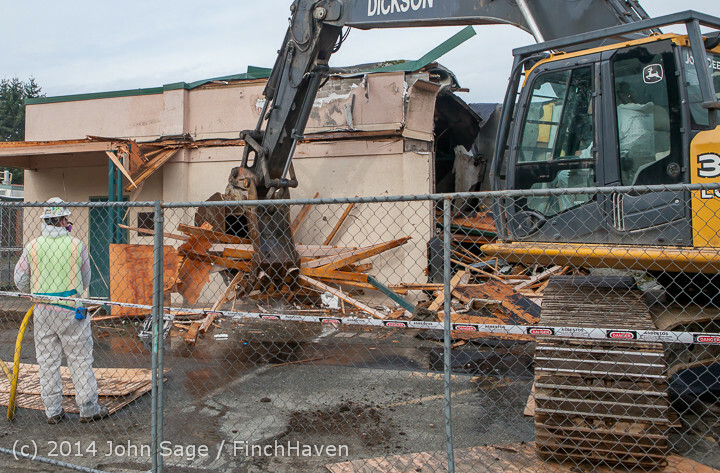 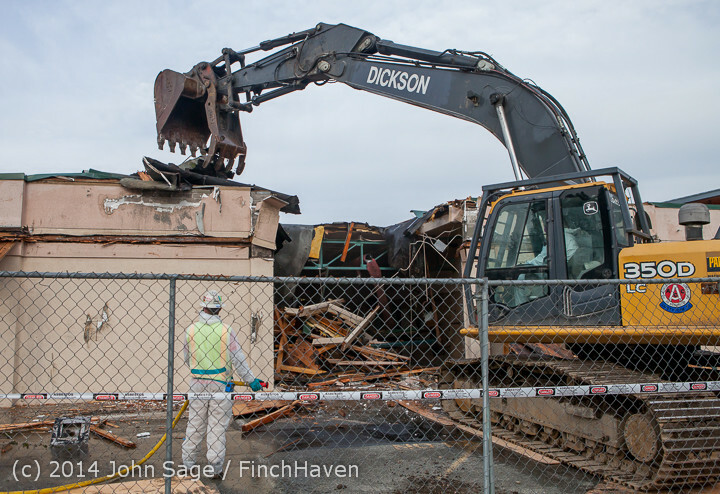 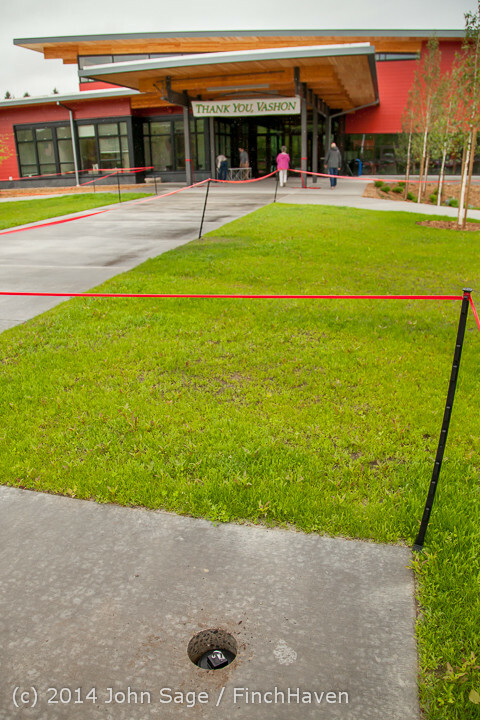 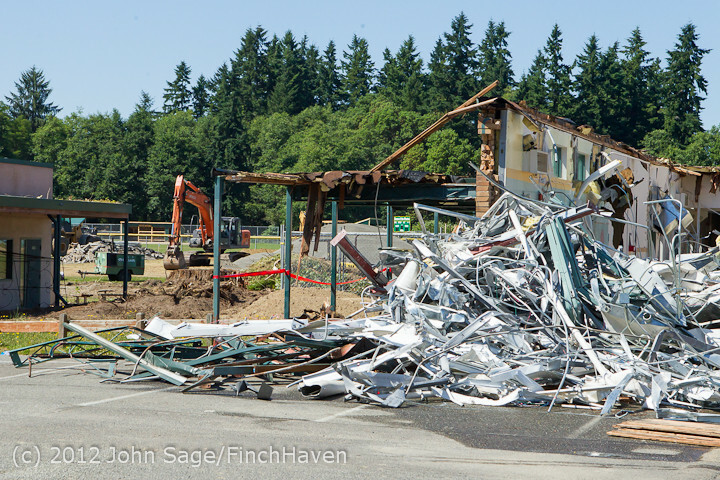 I was approached to do photography of the Groundbreaking Ceremonies for the new Vashon Island High School, and happily agreed to do so. 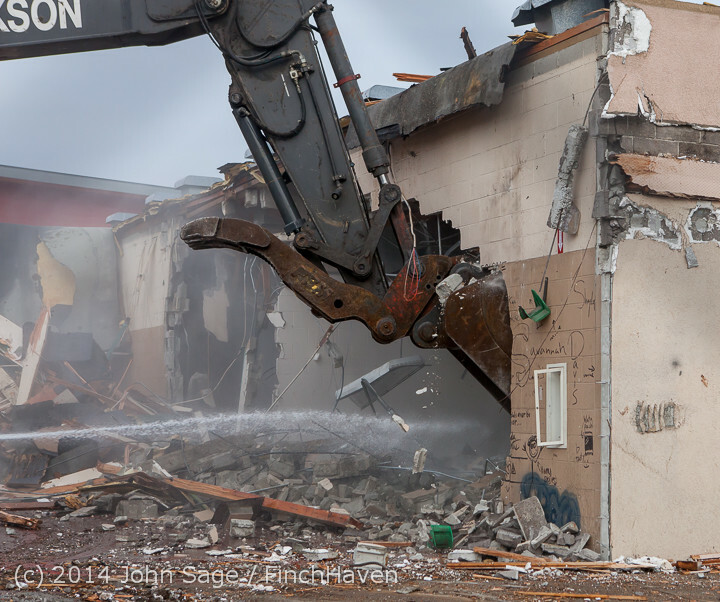 At that time I expressed interest in doing some documentary photography of the construction site as work progresses. 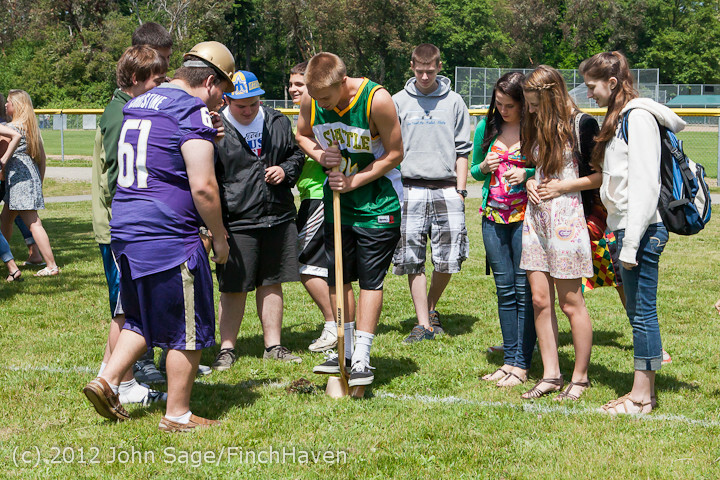 I'll try to put up more photos of what's going on as I can. 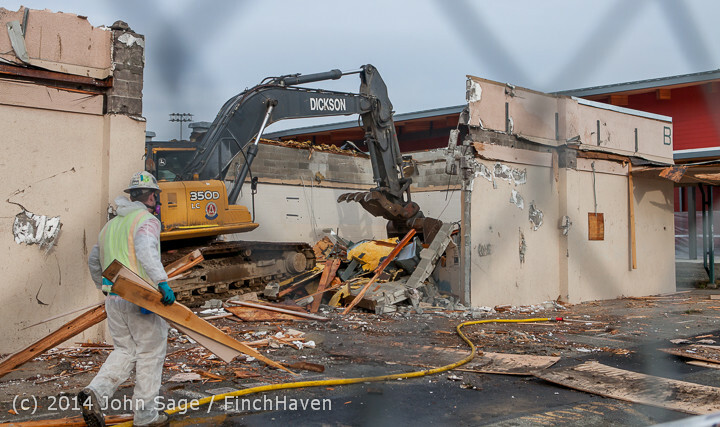 Getting right down to the bitter end of the old A building. 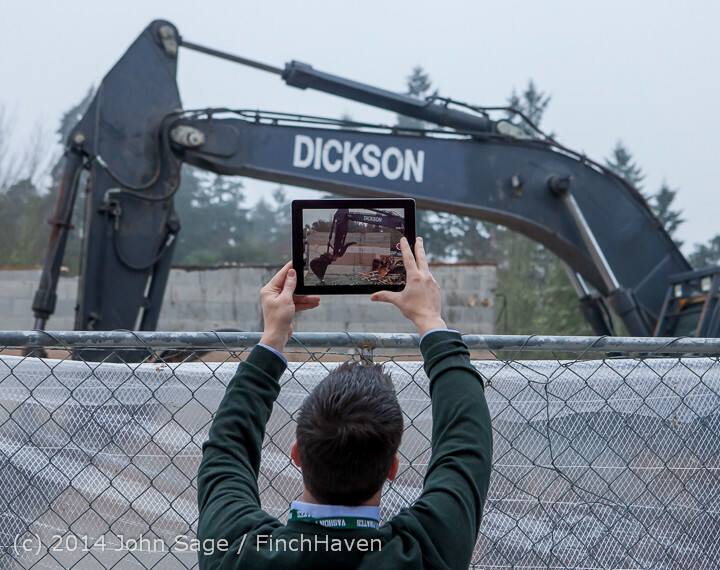 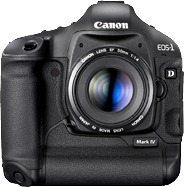 This video was shot about 4:30 pm, Friday, February 7, 2014. 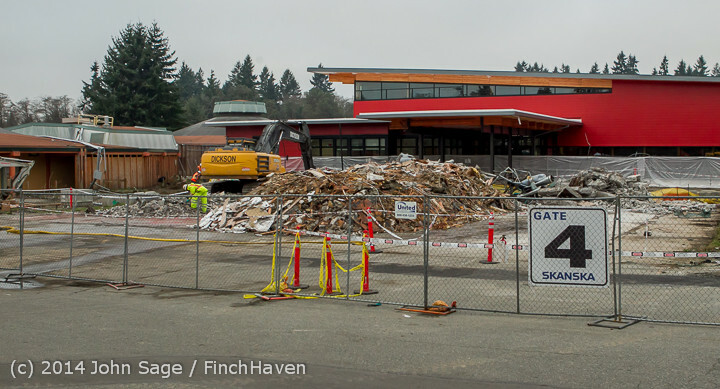 If they work at all on Saturday, it'll be gone. 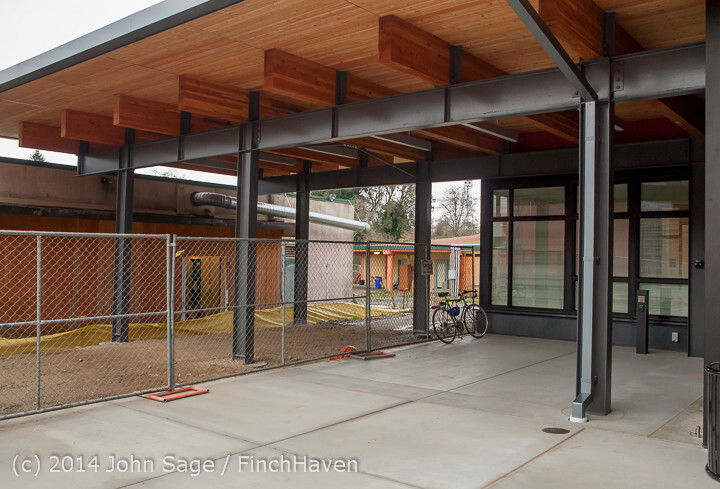 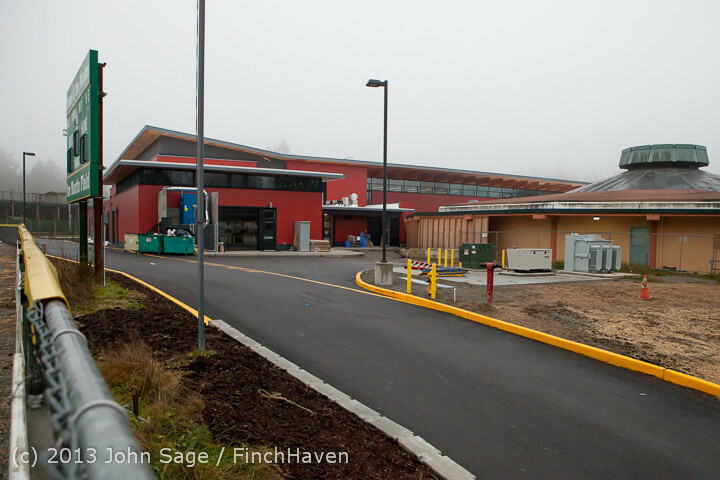 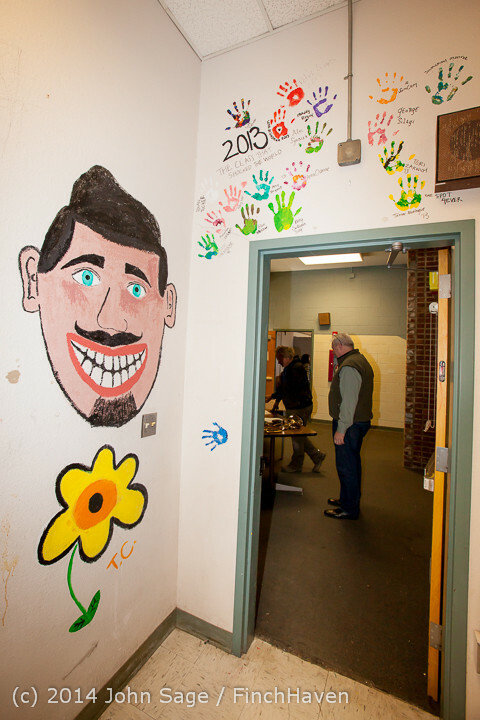 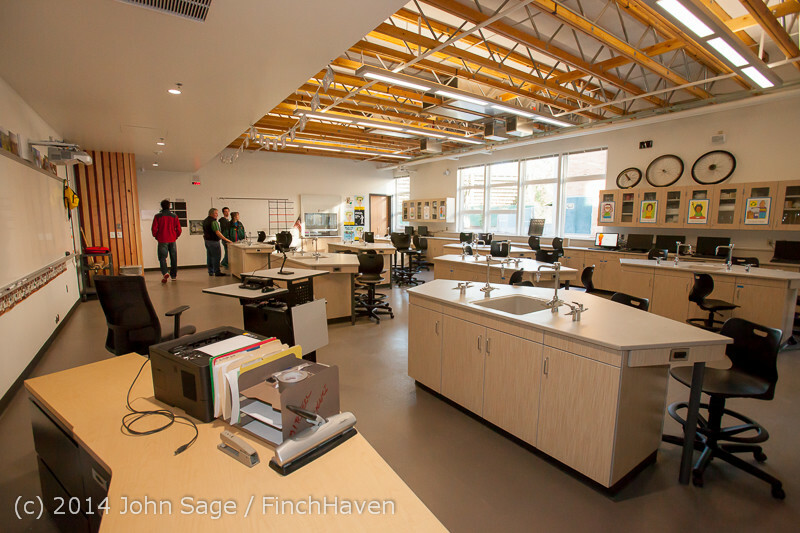 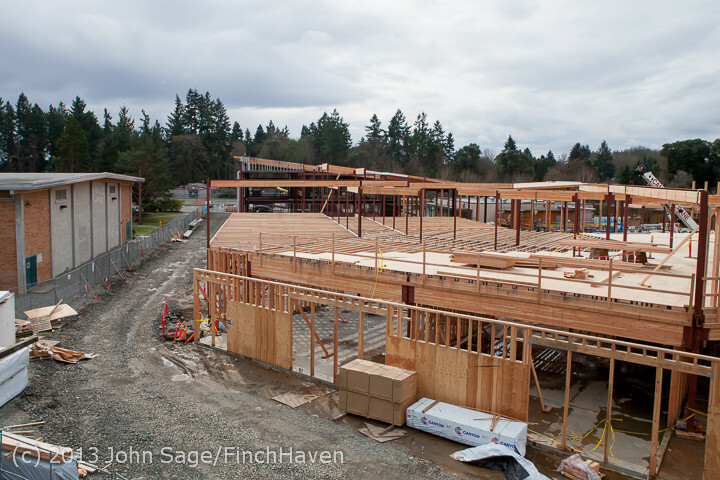 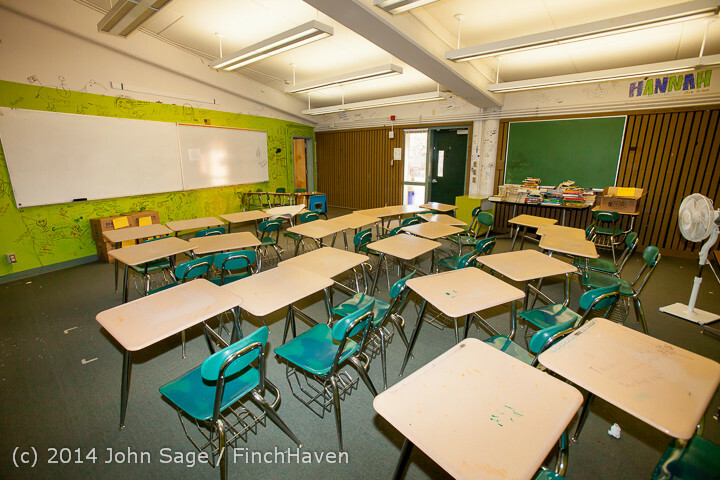 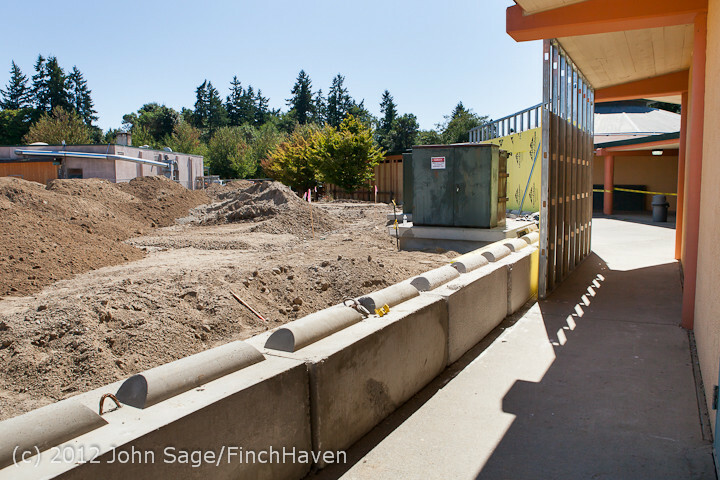 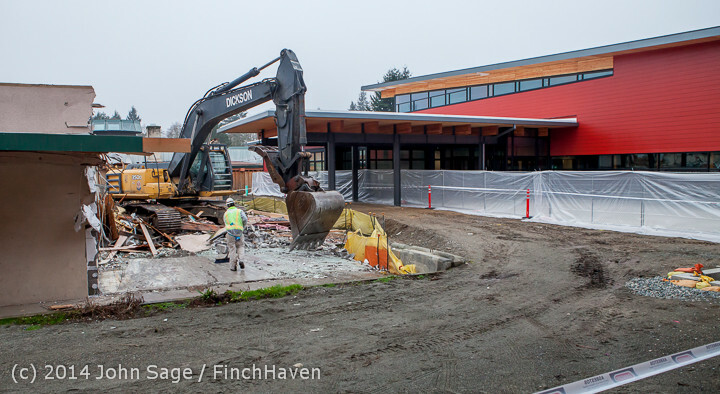 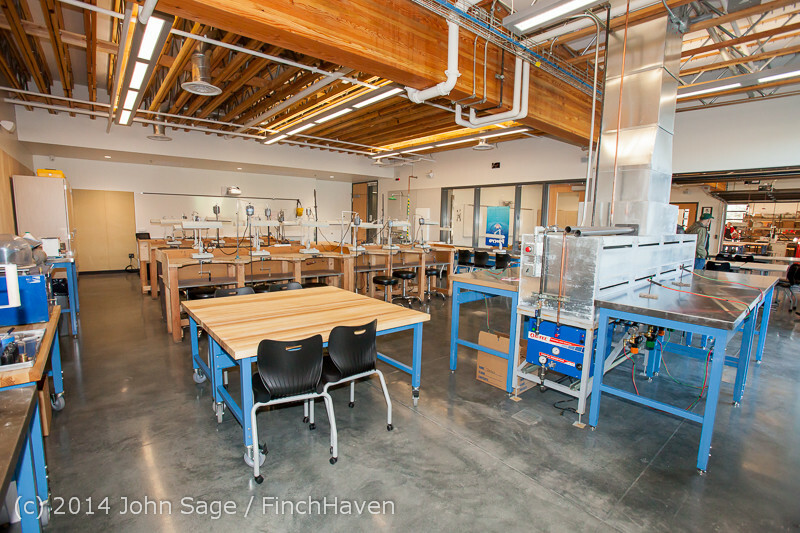 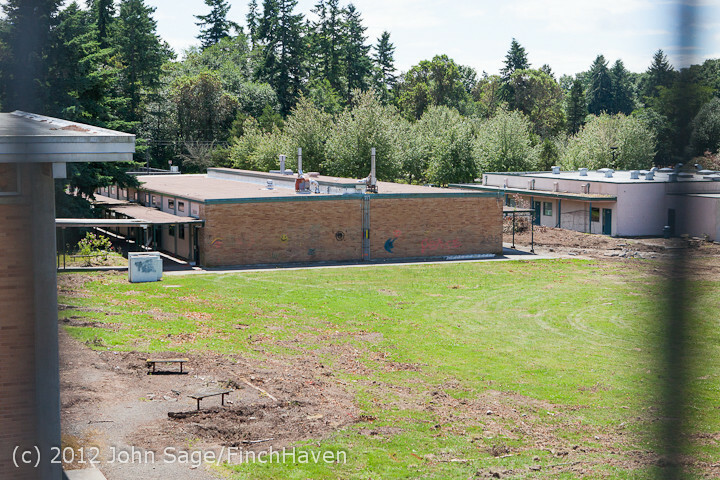 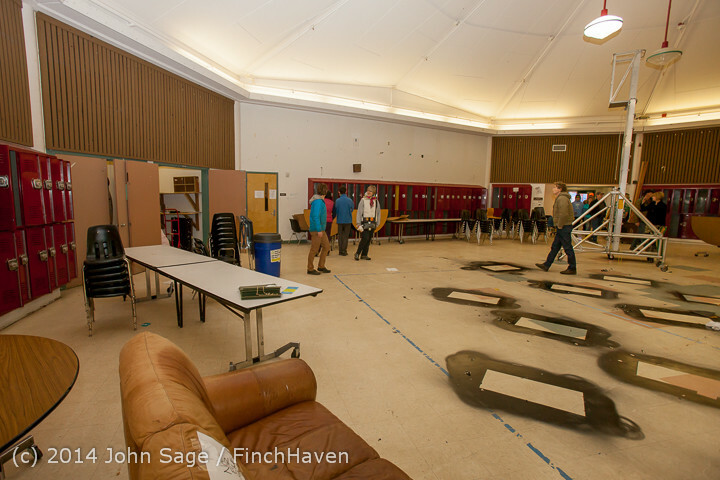 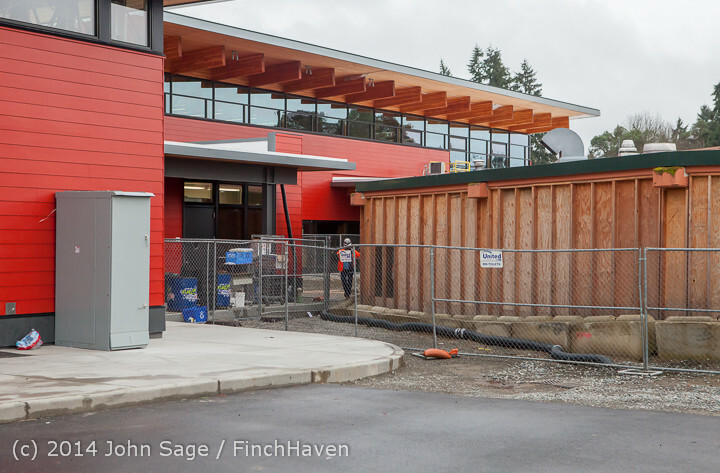 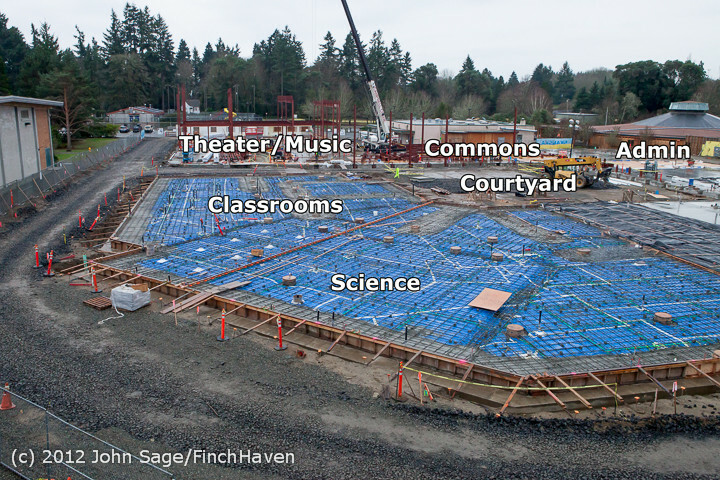 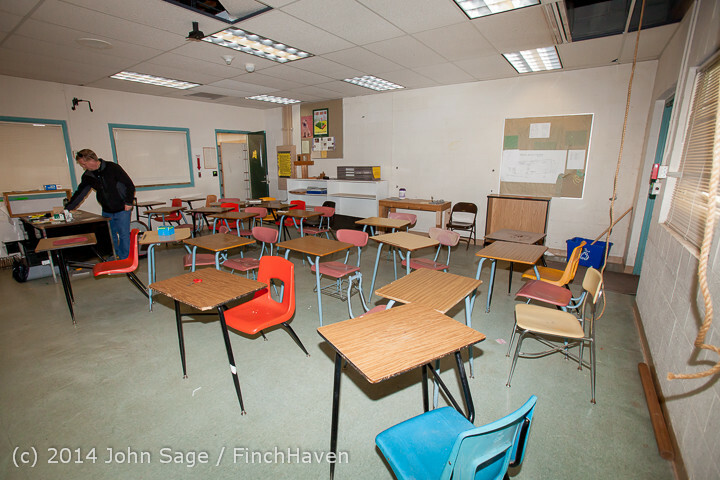 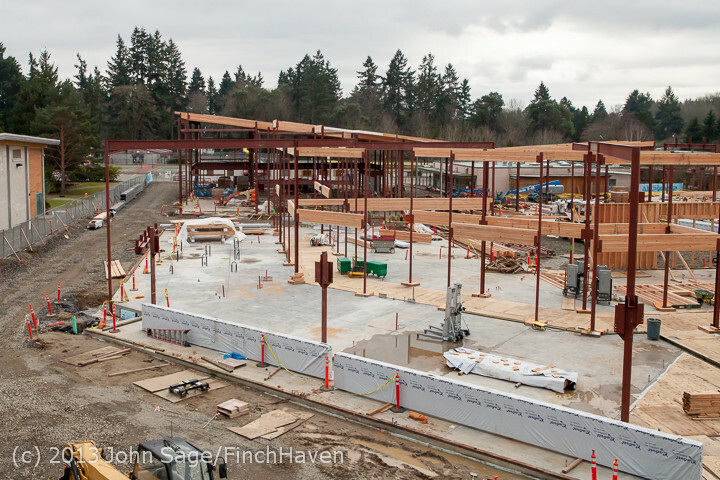 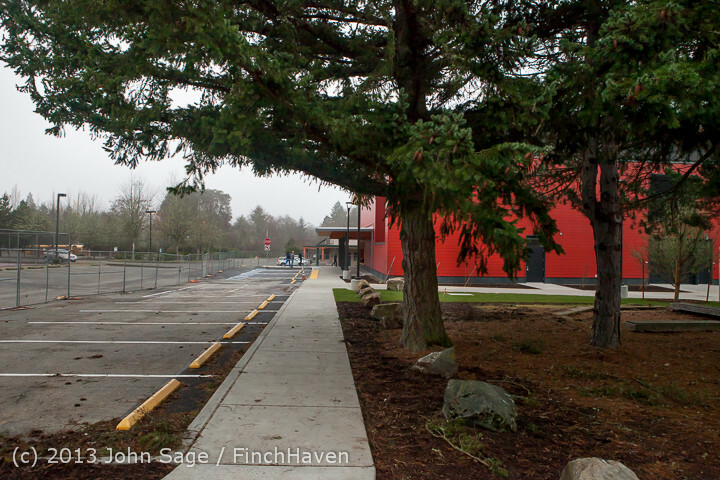 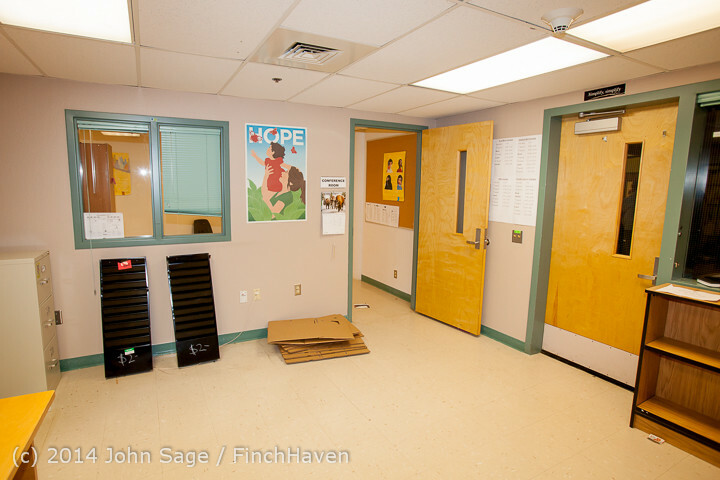 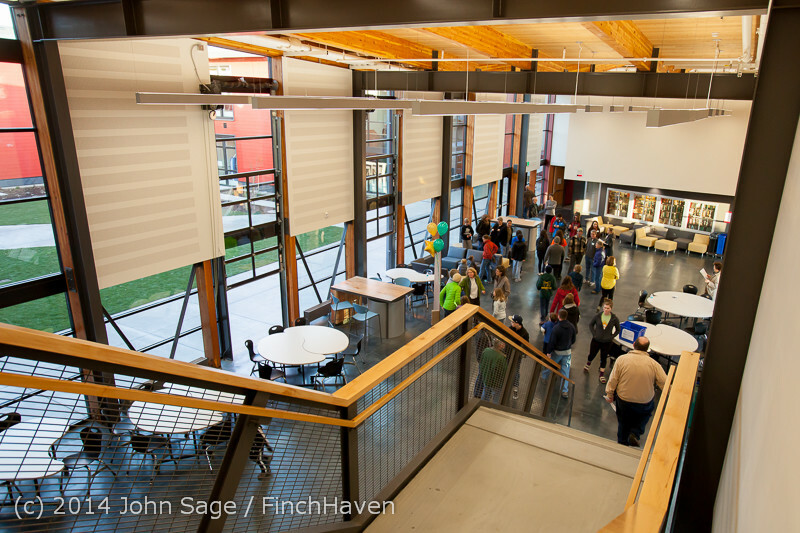 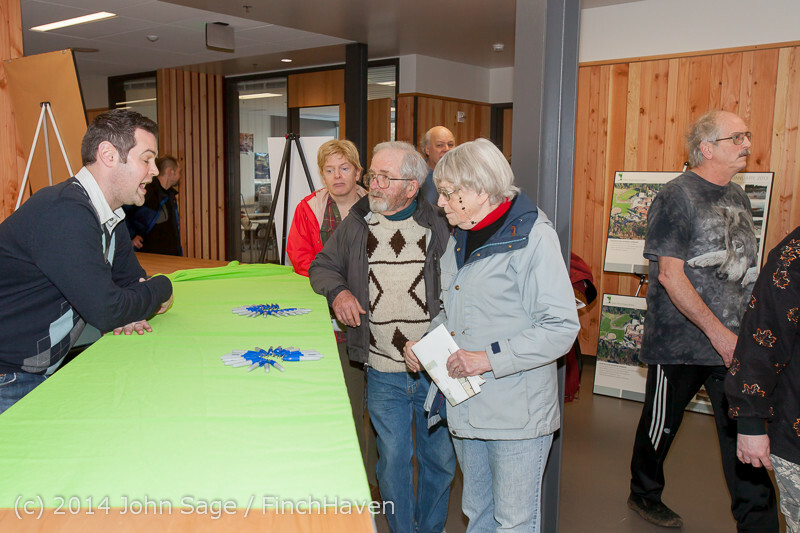 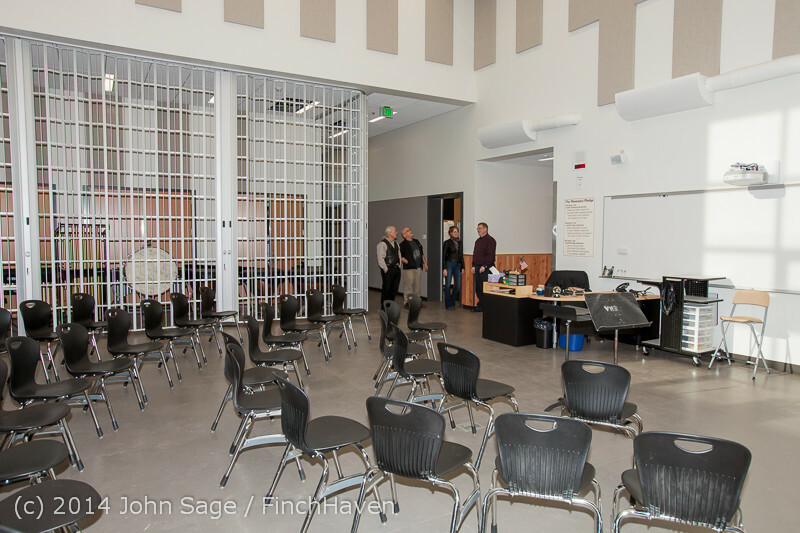 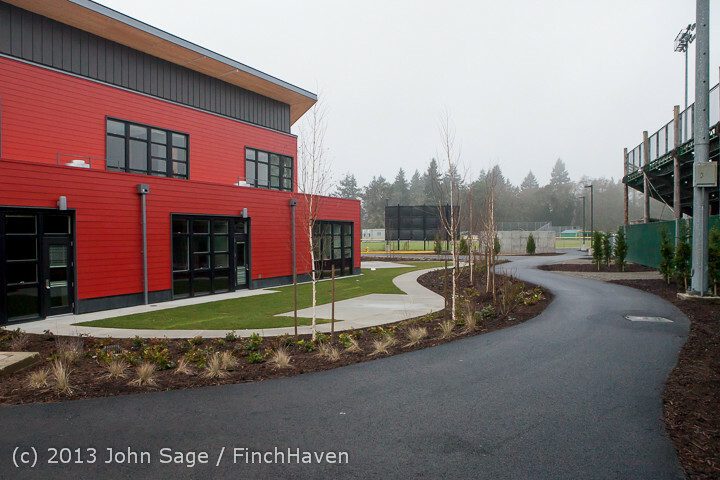 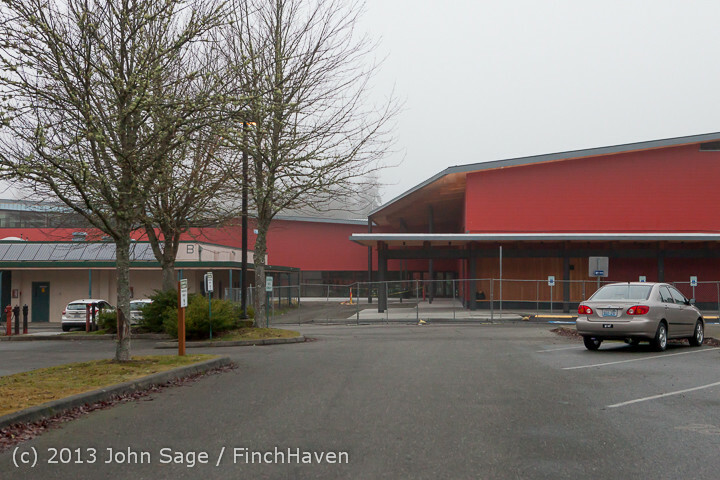 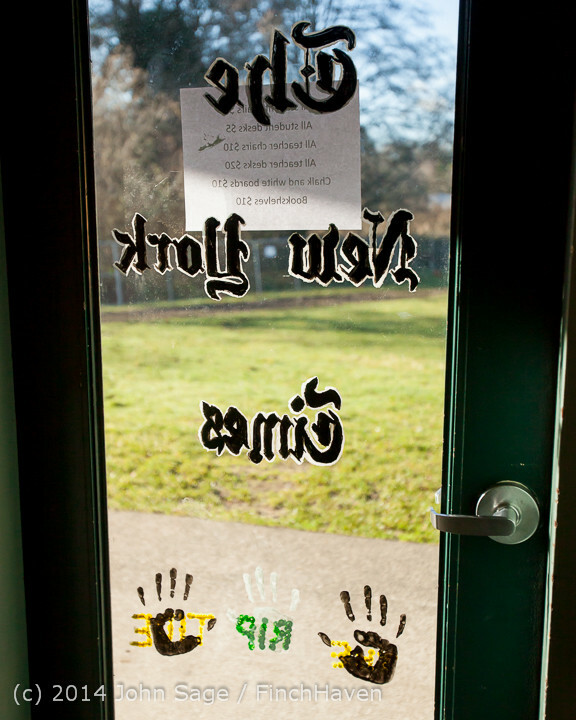 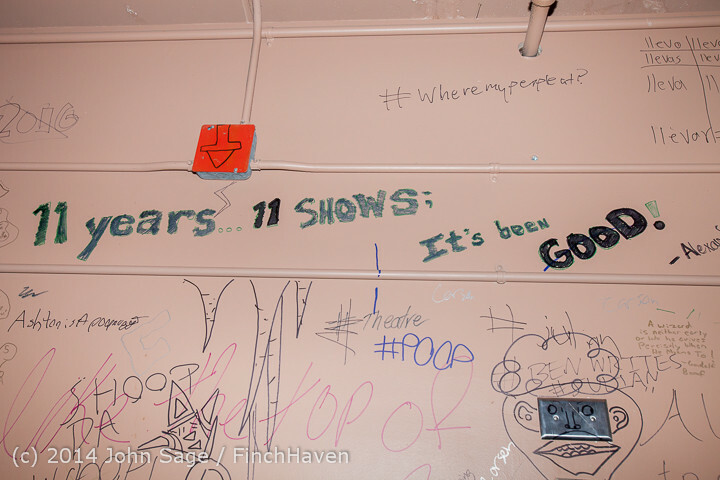 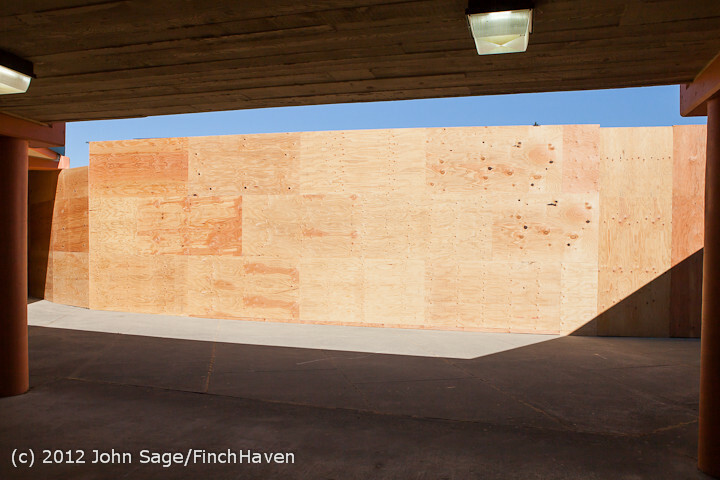 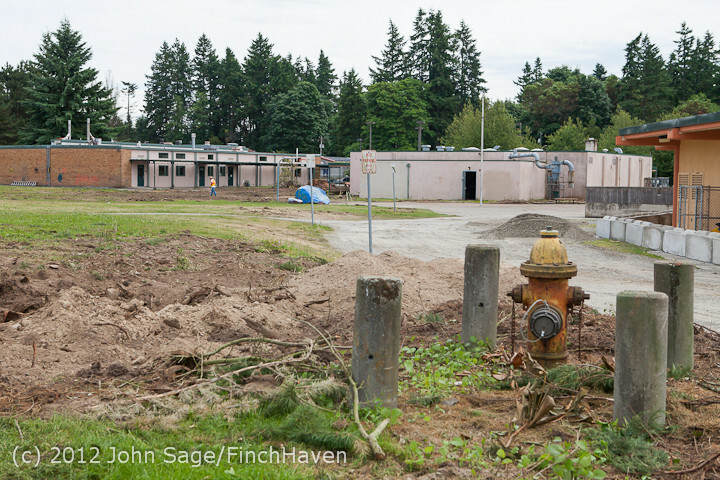 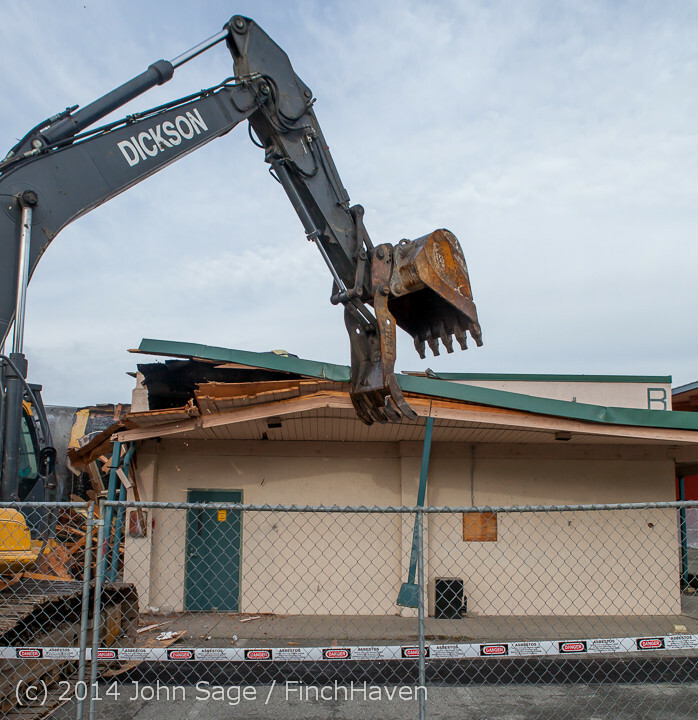 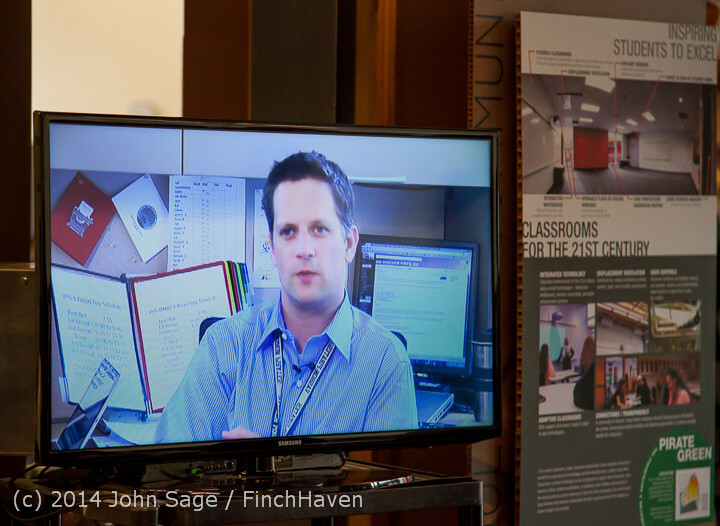 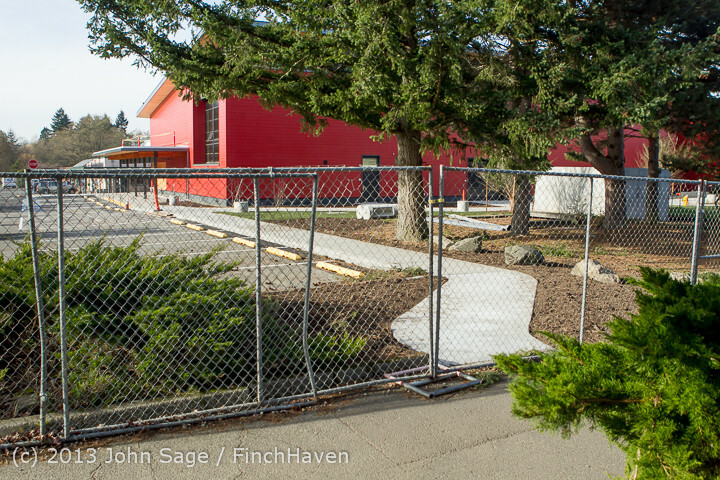 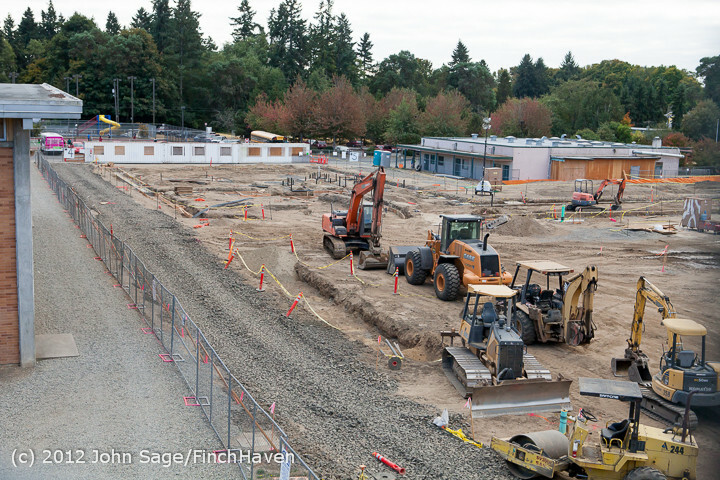 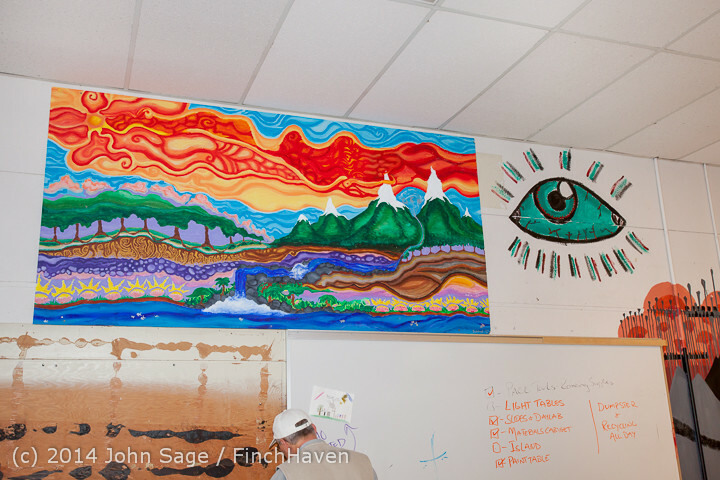 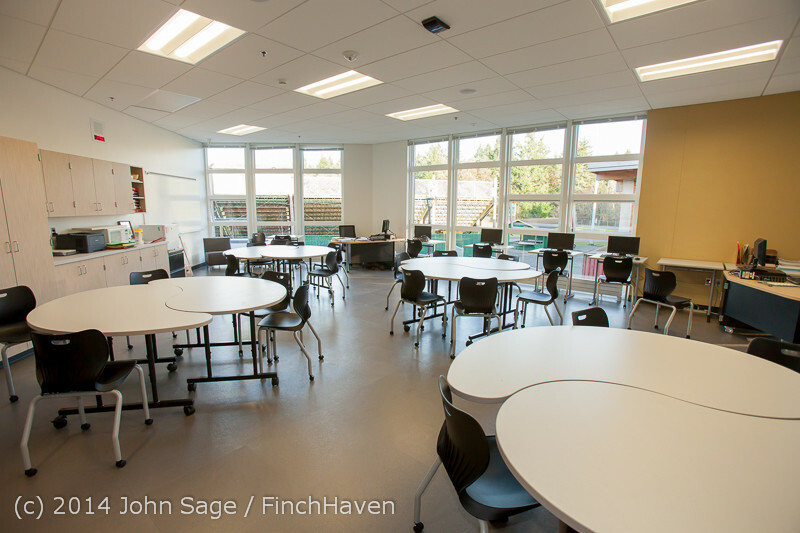 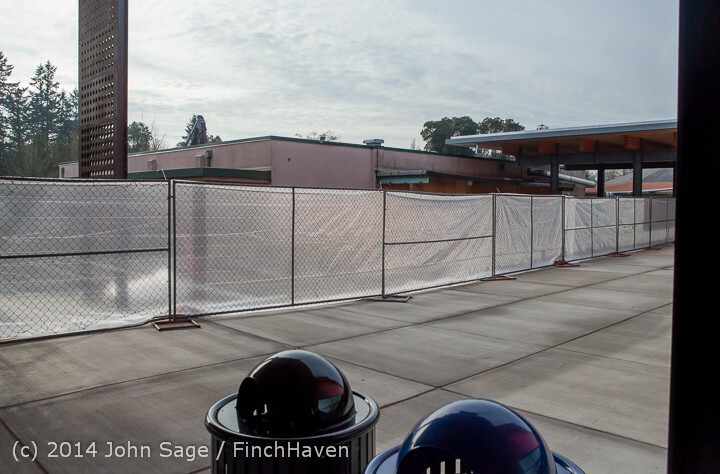 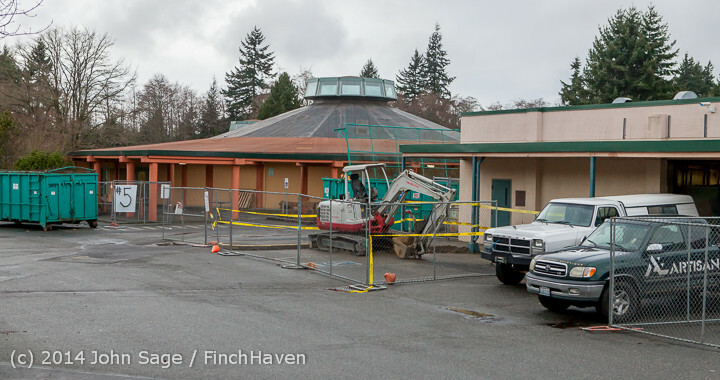 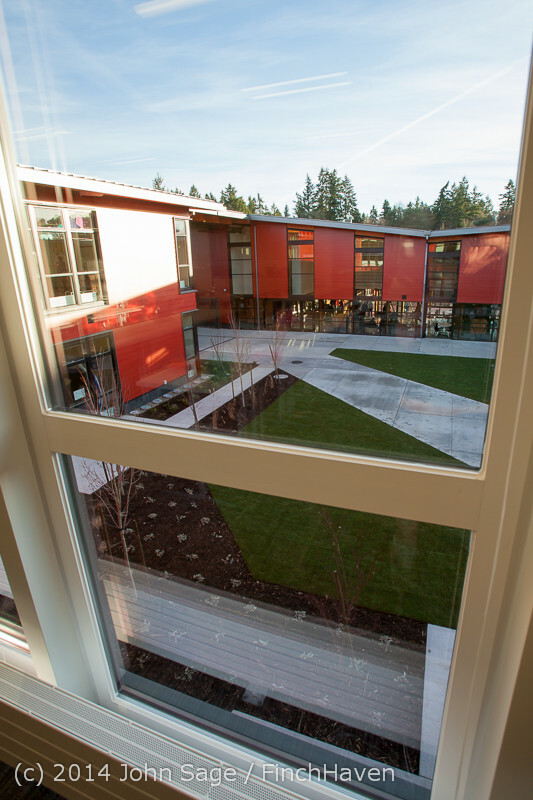 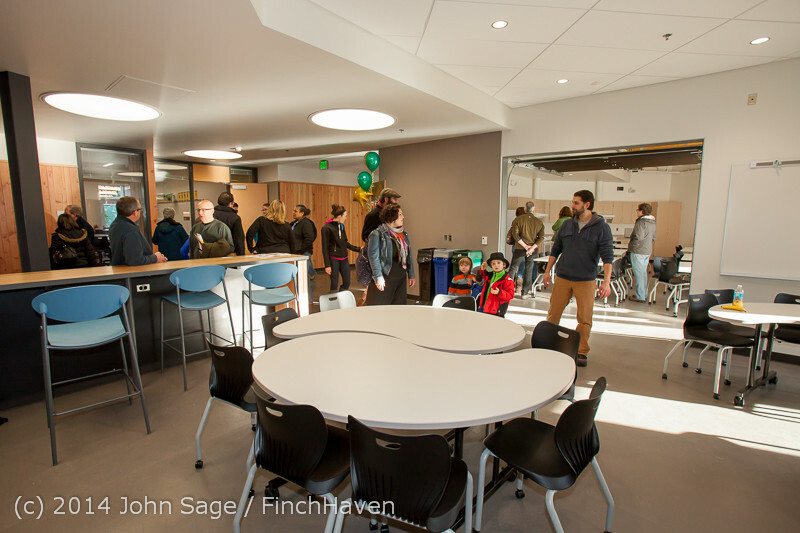 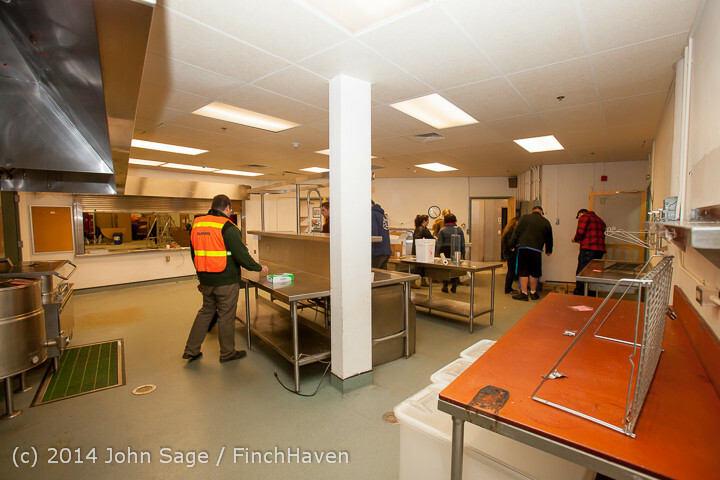 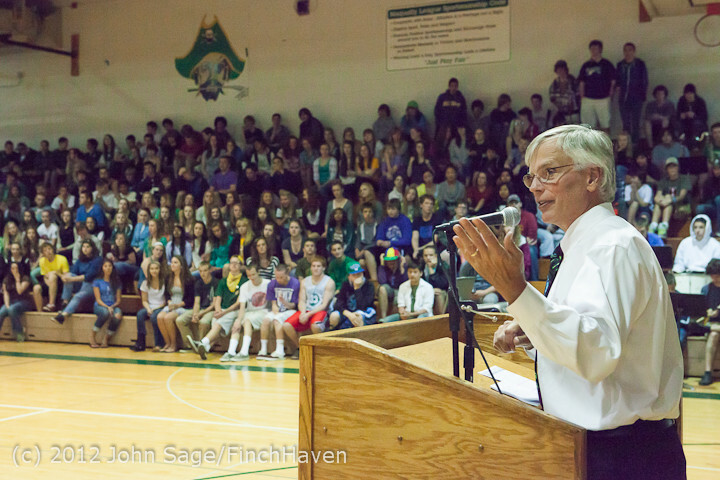 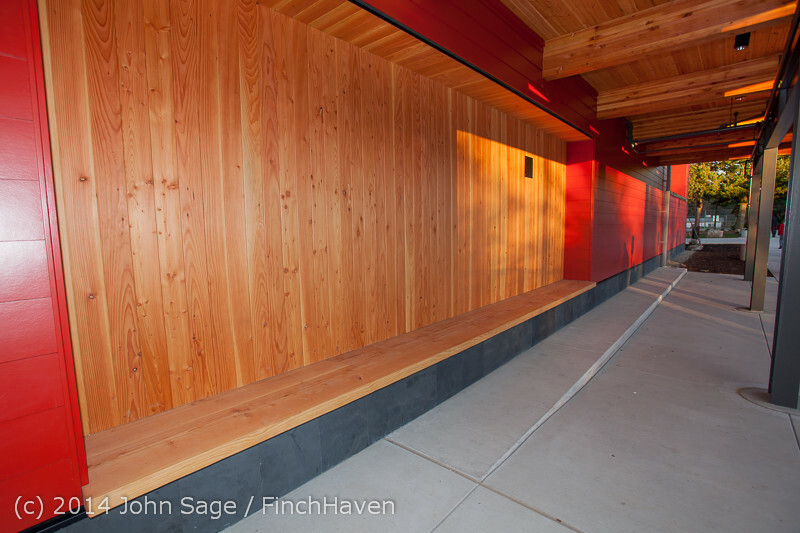 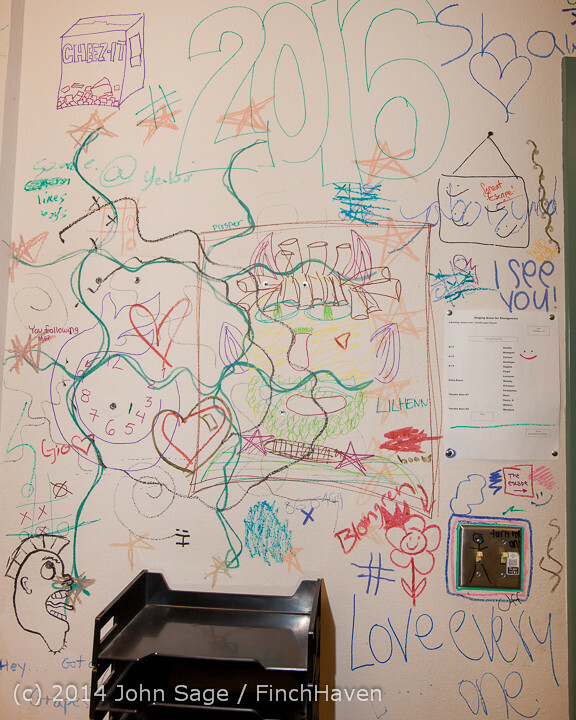 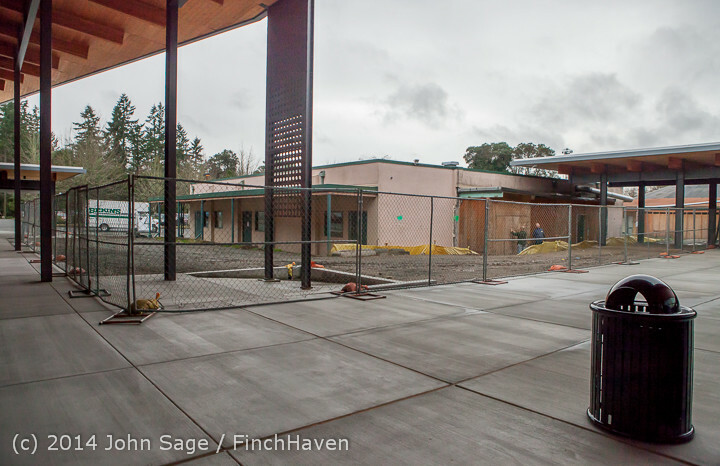 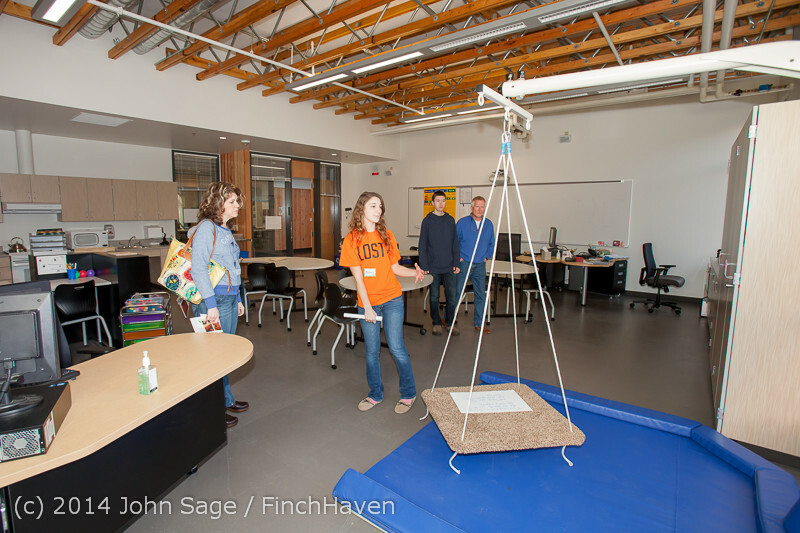 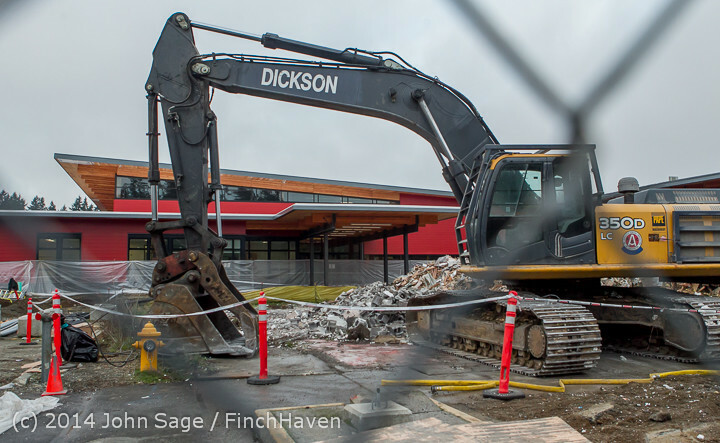 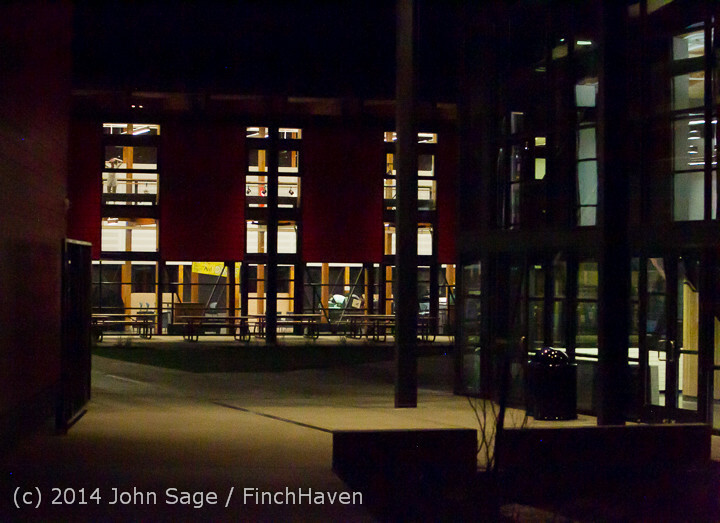 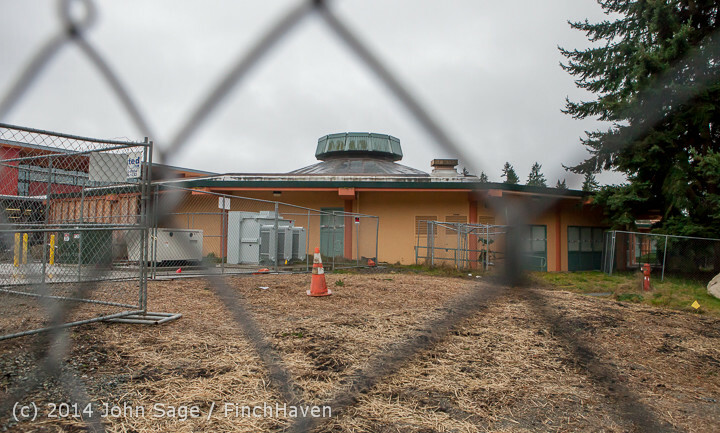 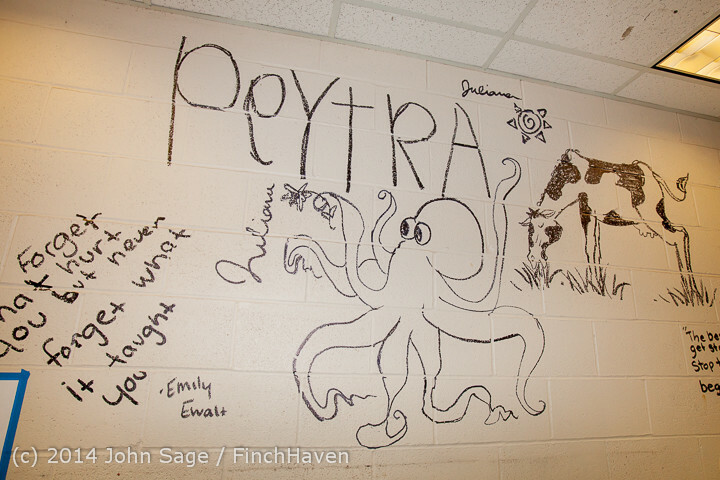 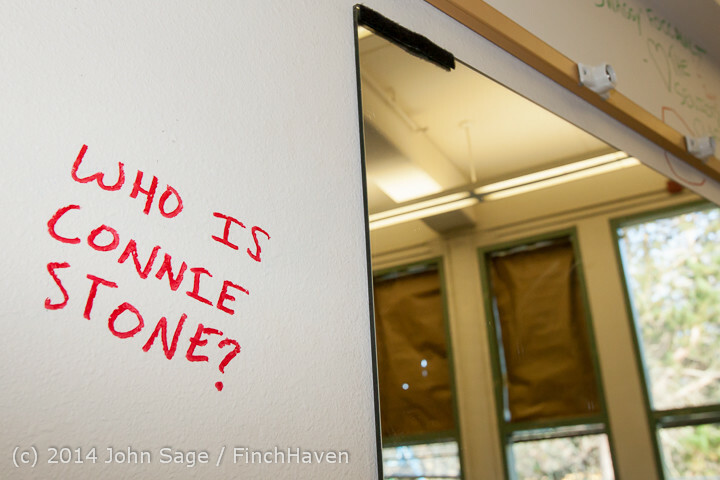 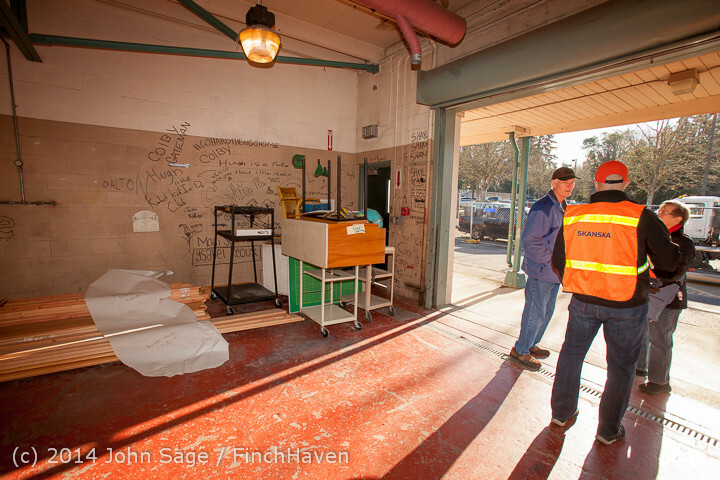 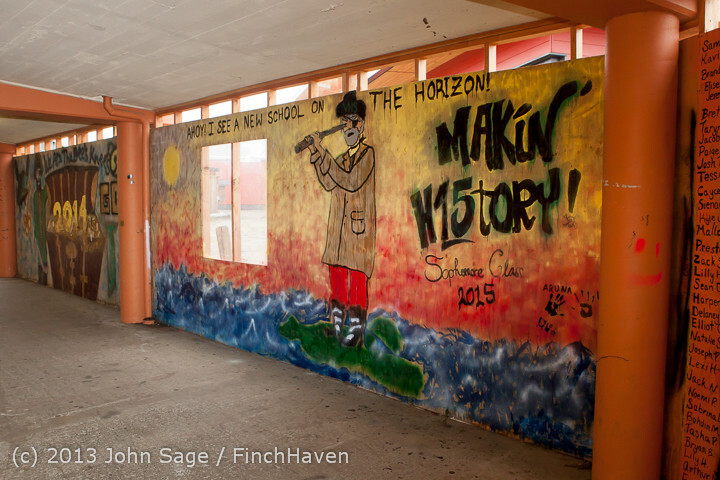 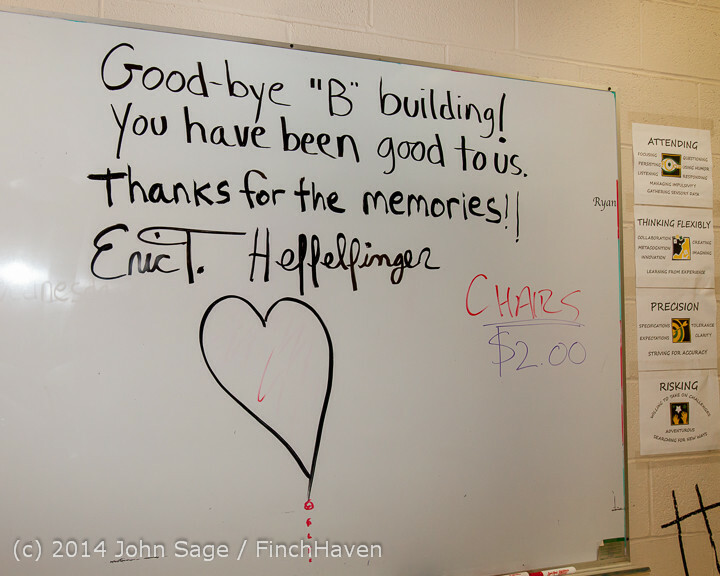 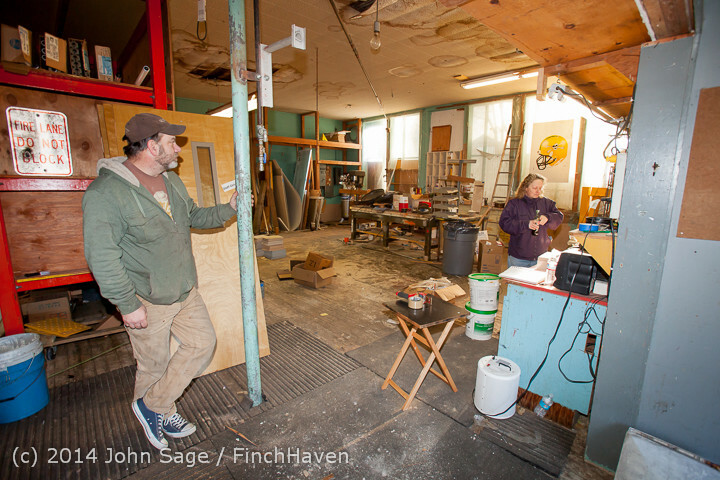 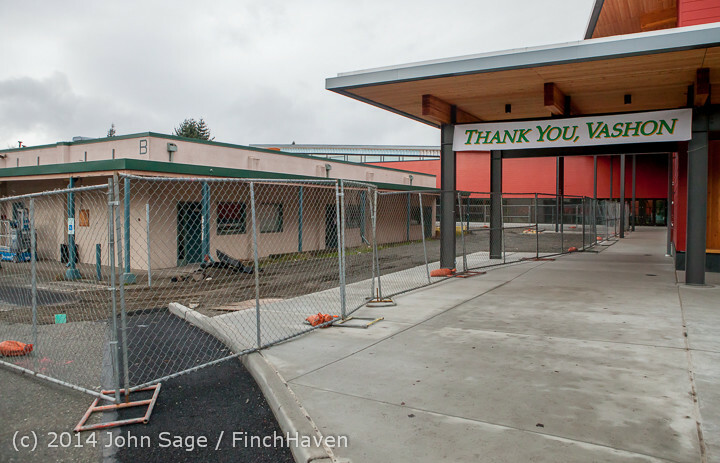 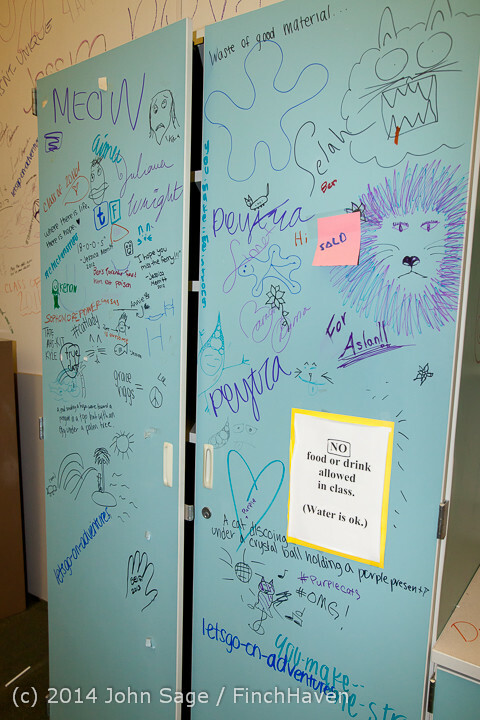 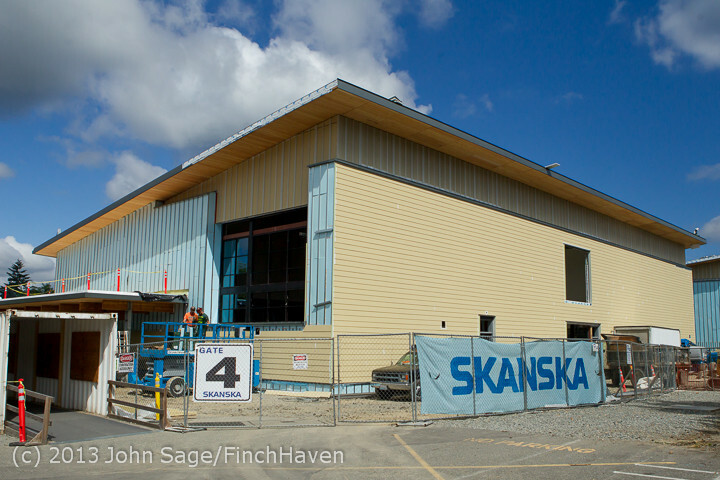 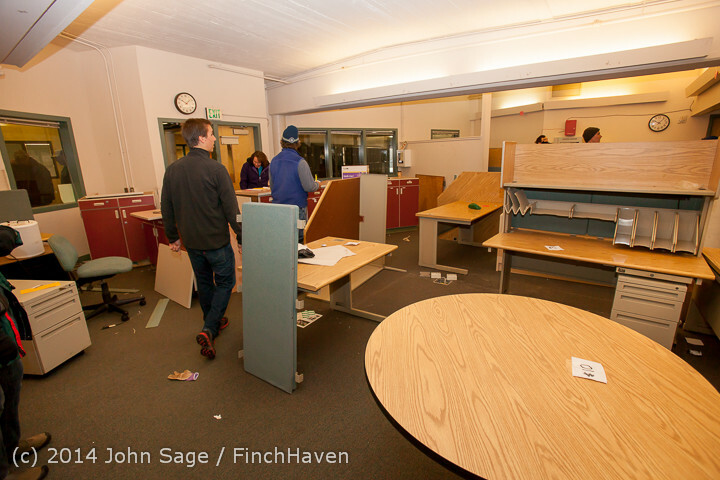 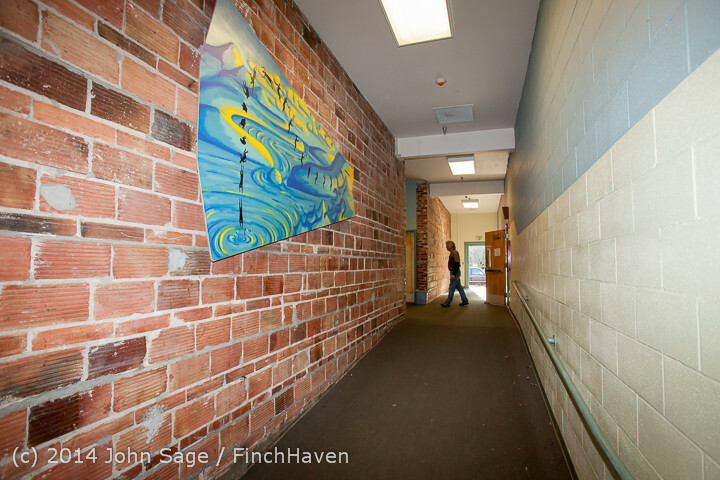 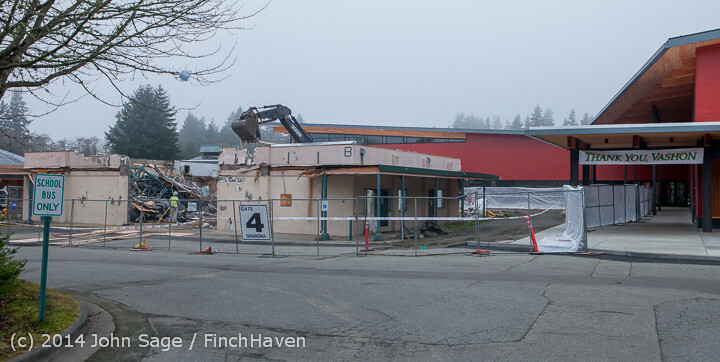 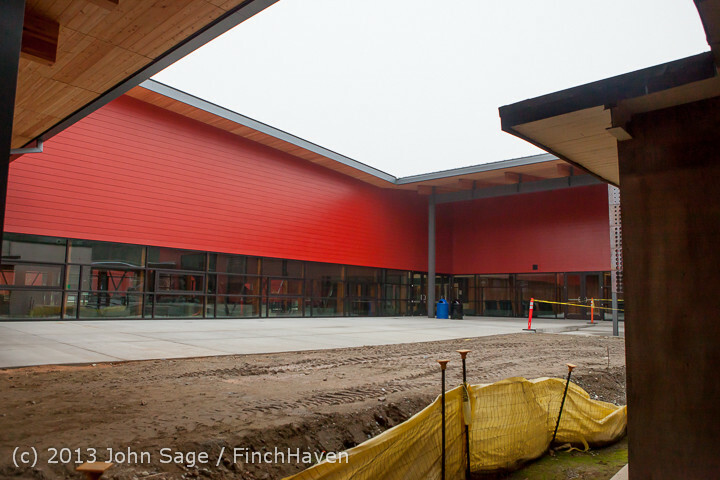 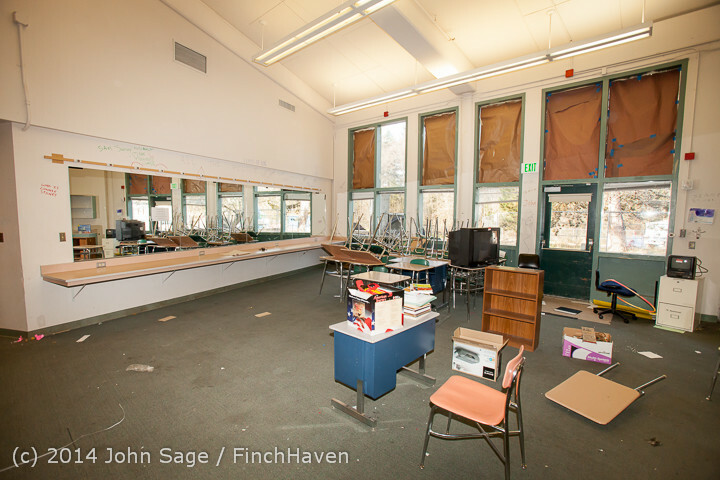 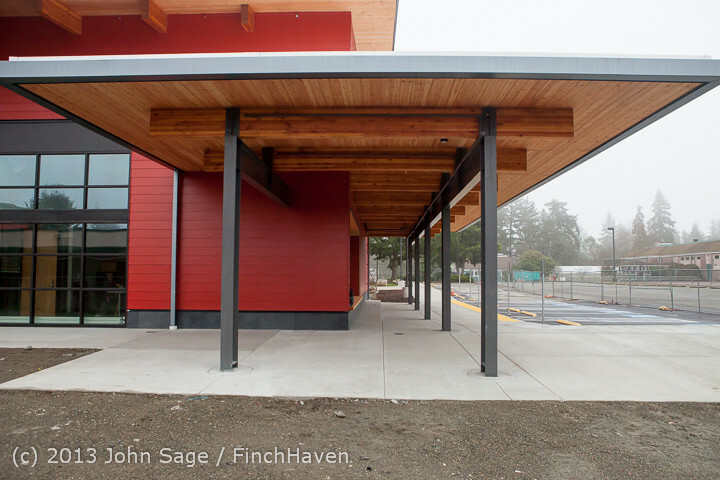 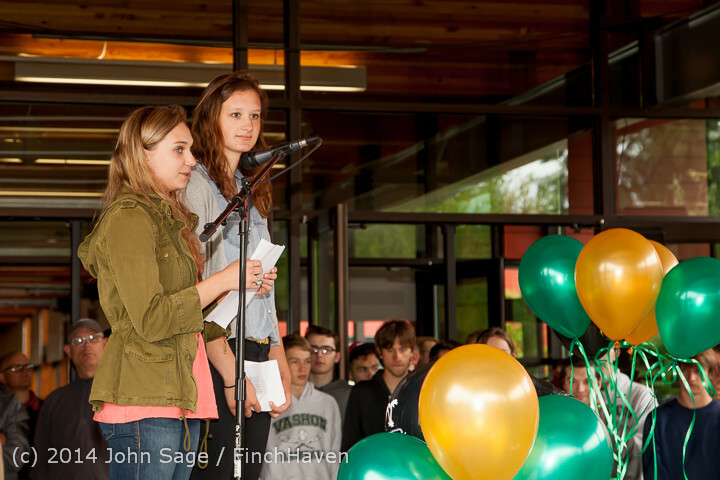 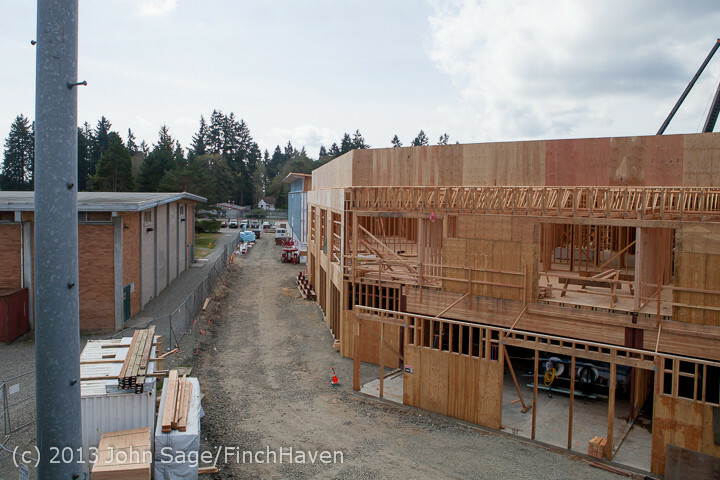 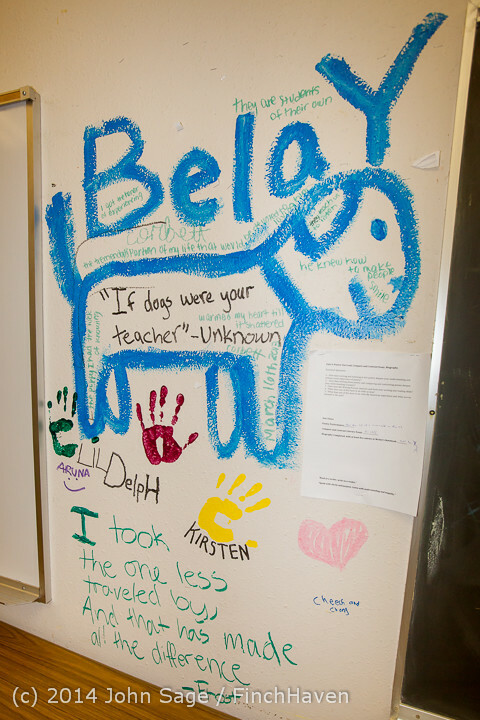 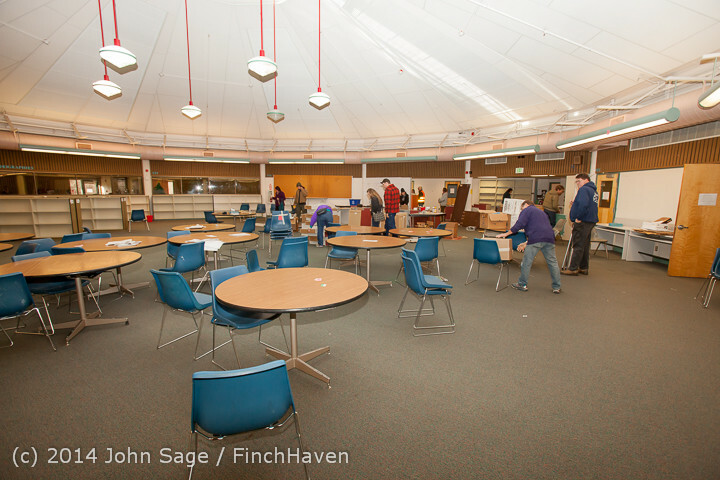 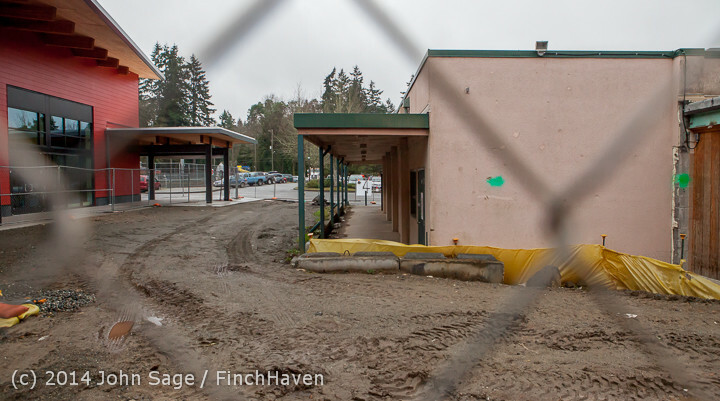 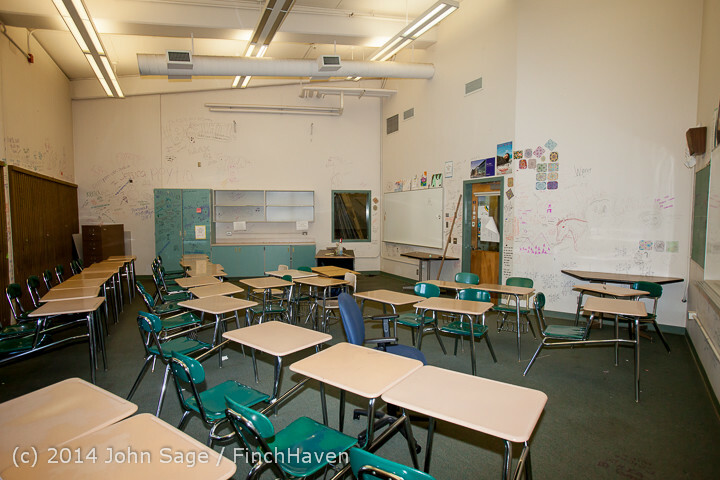 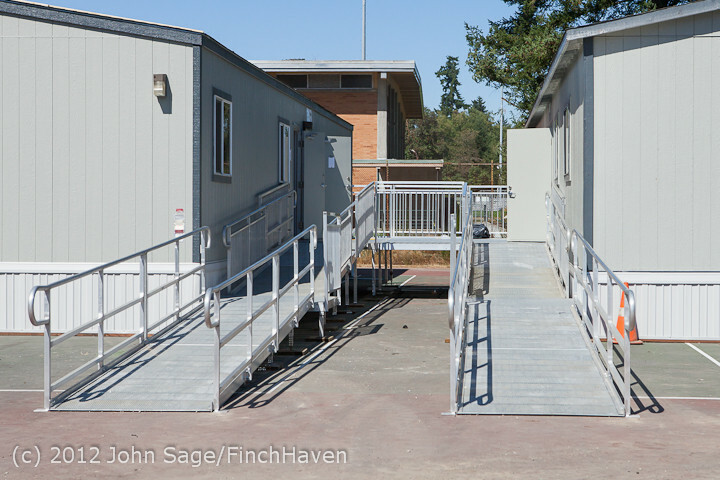 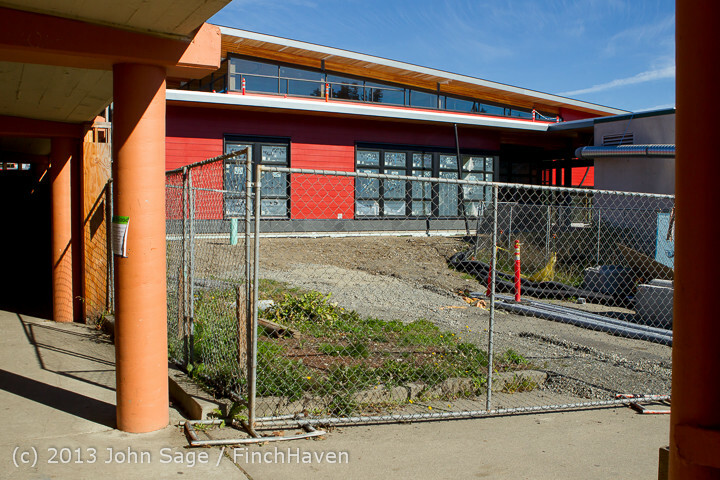 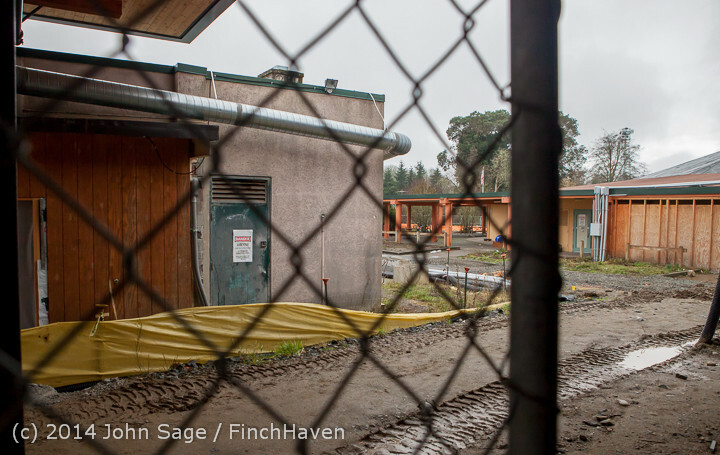 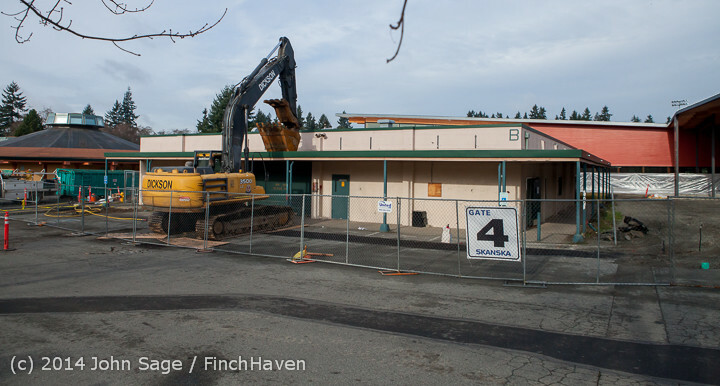 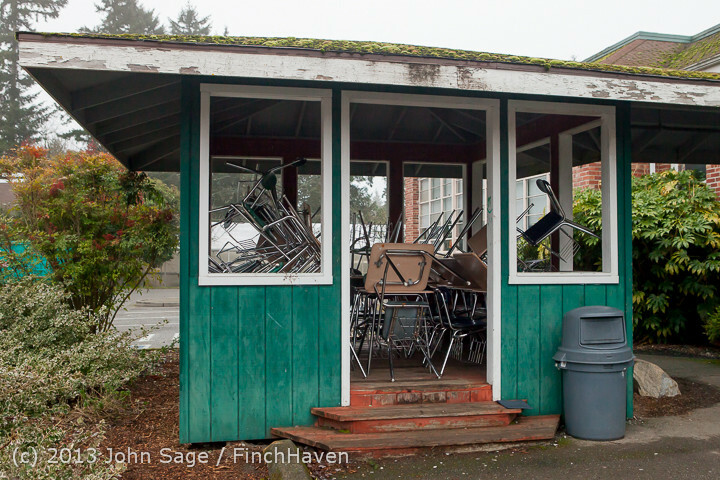 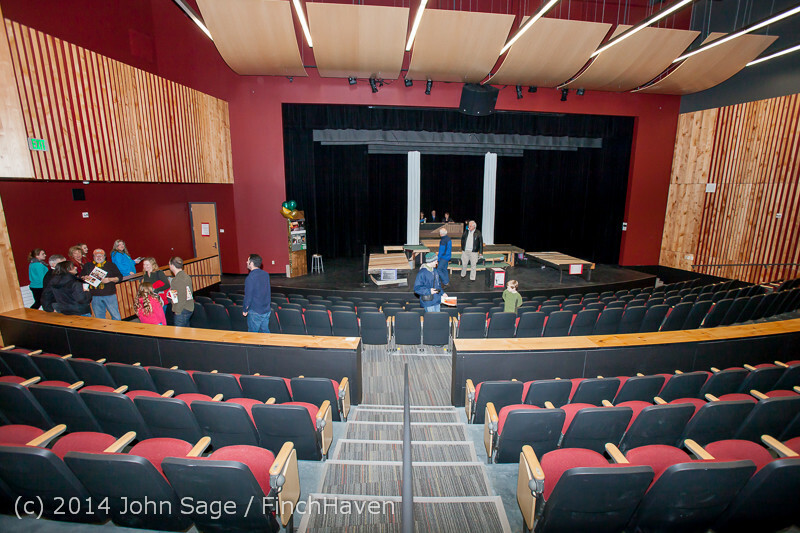 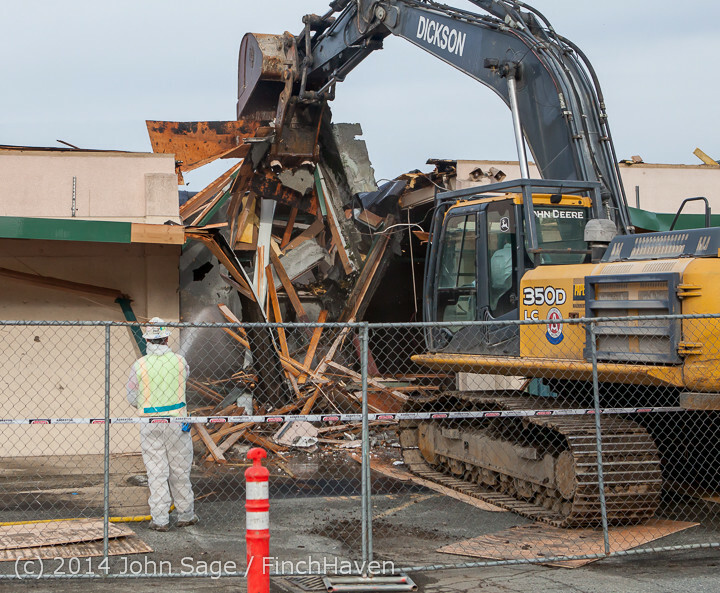 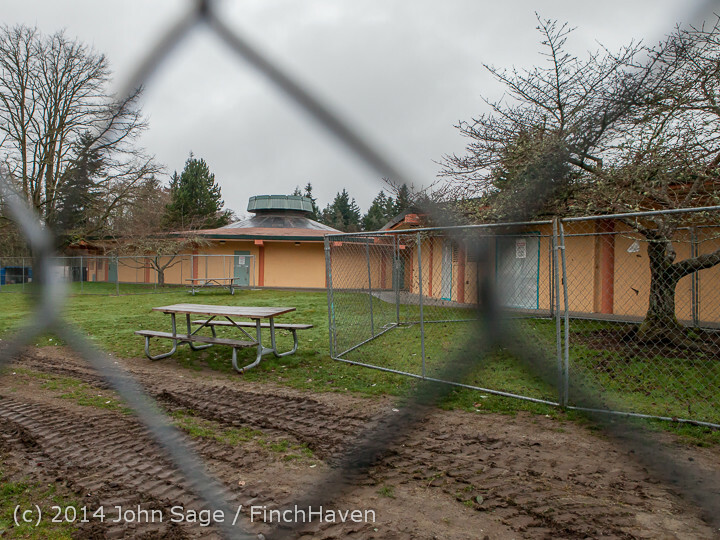 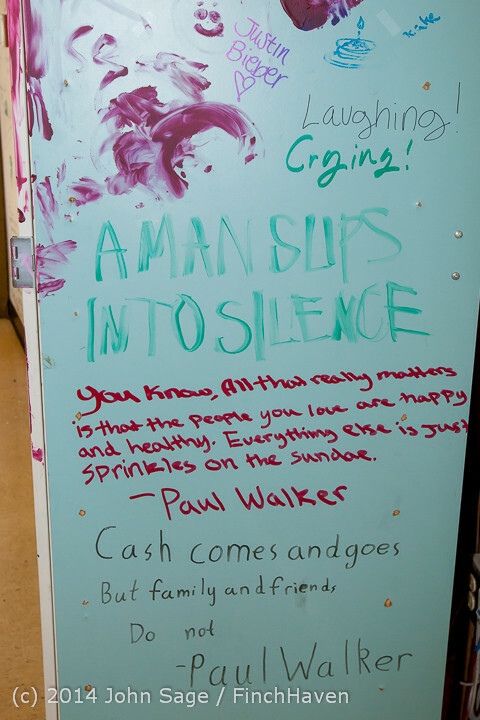 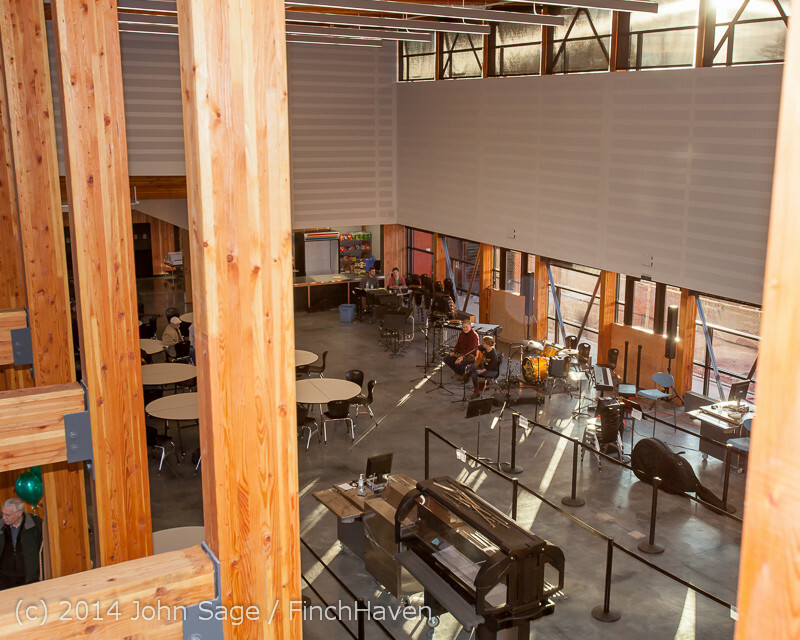 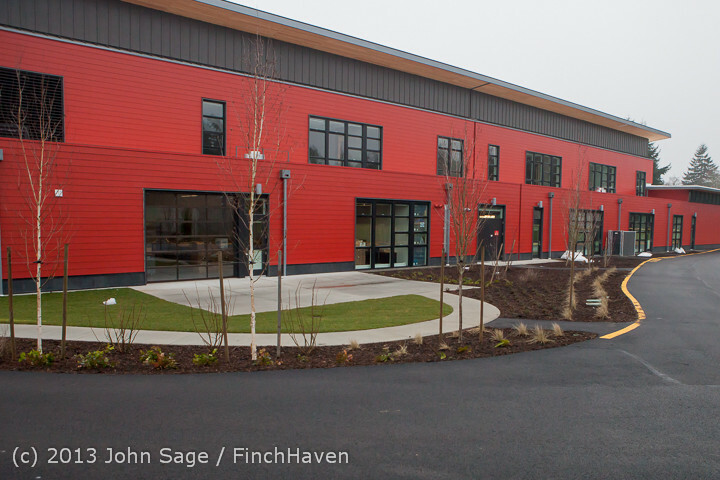 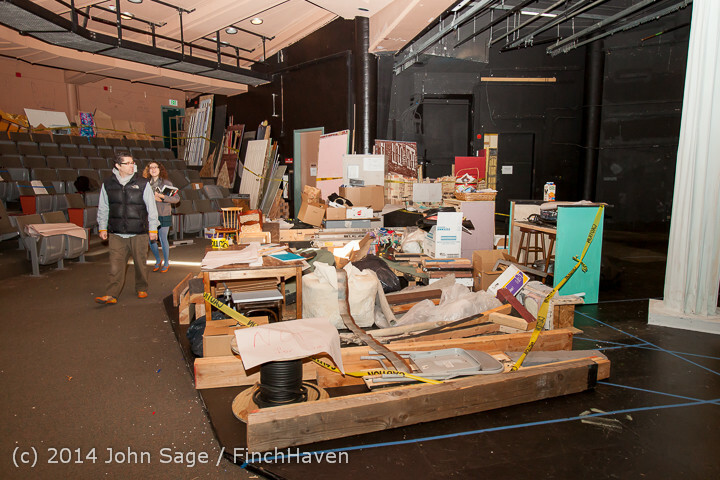 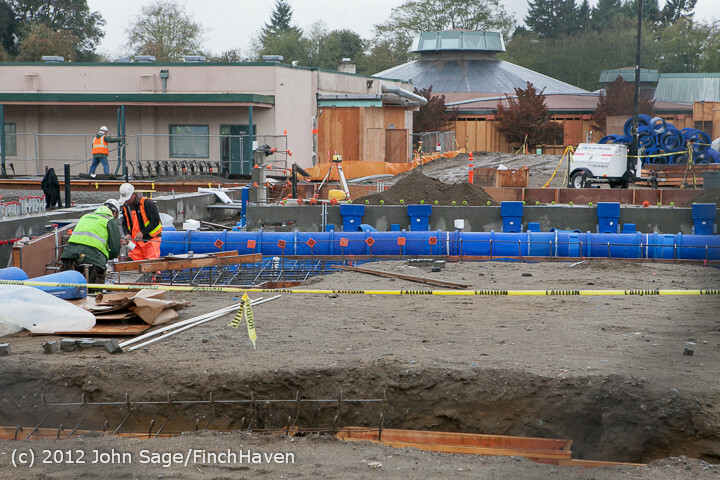 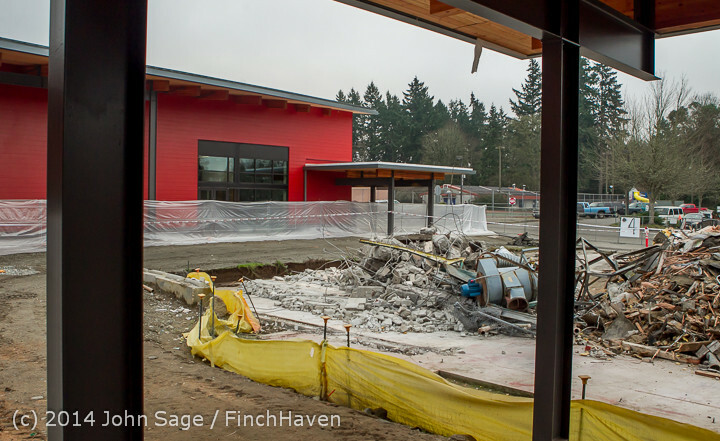 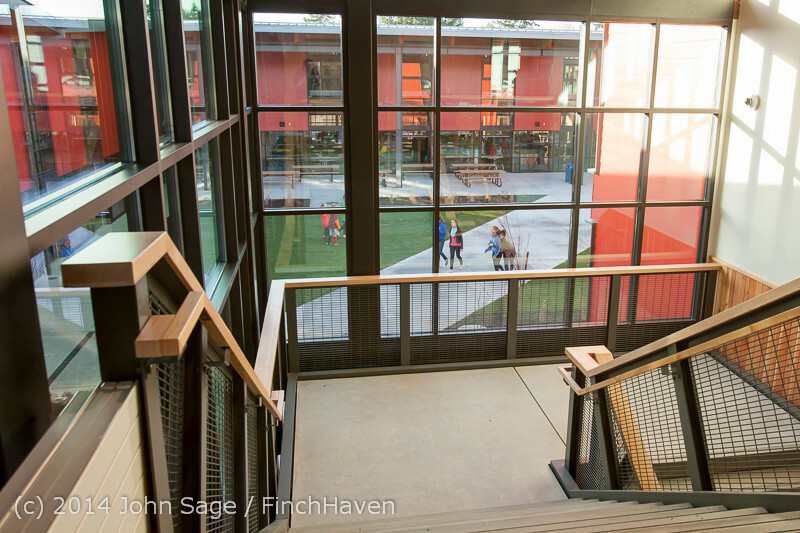 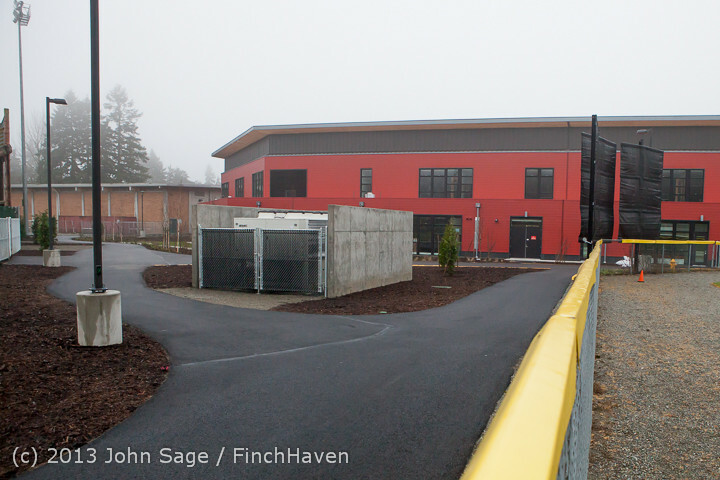 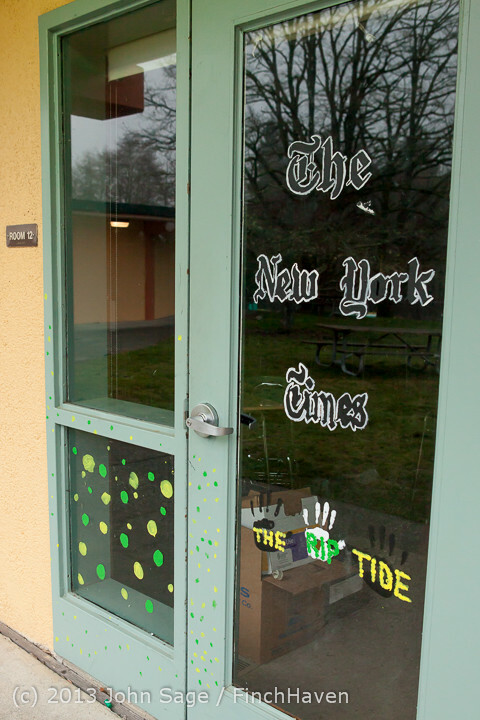 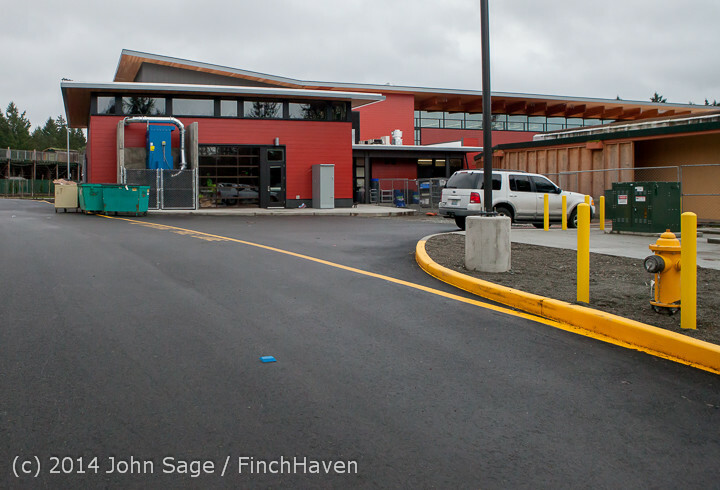 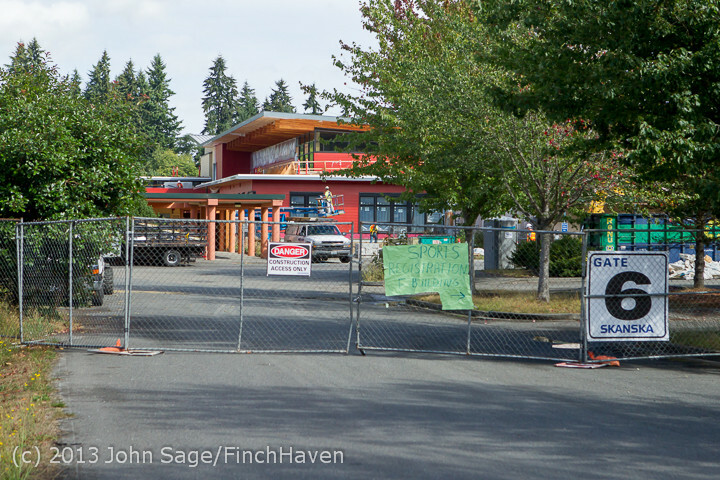 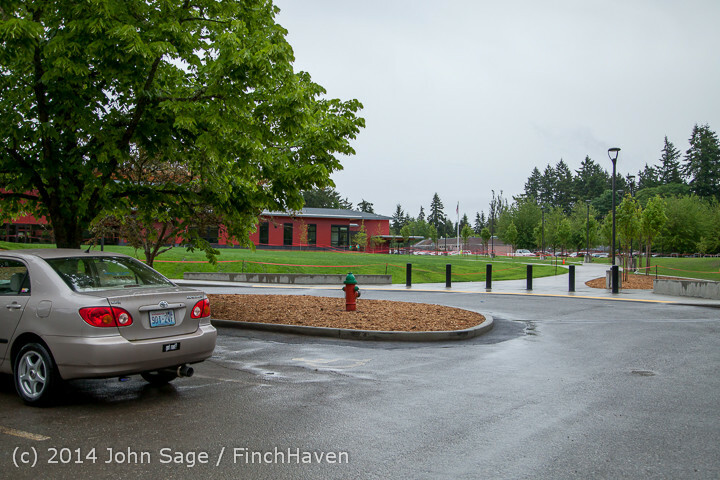 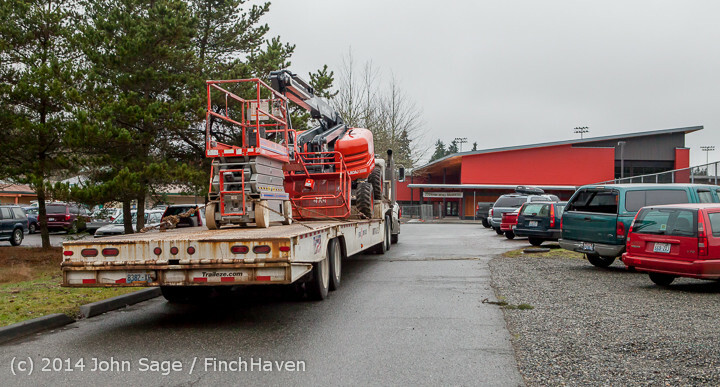 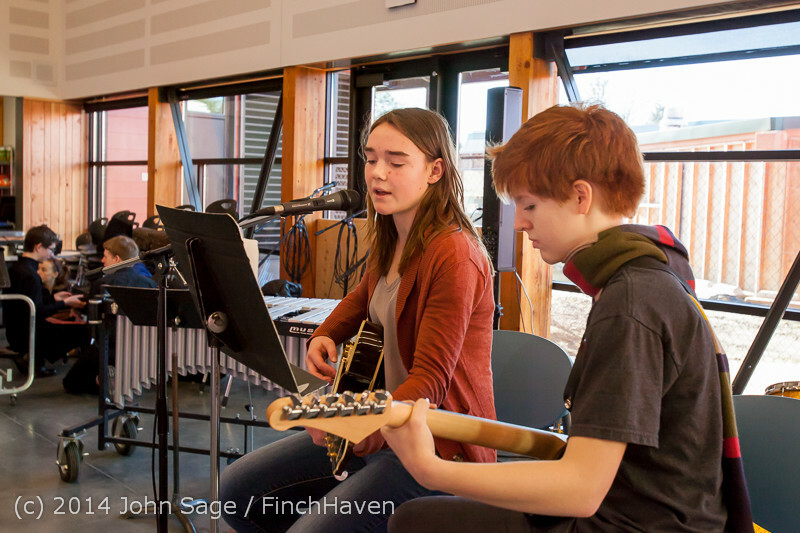 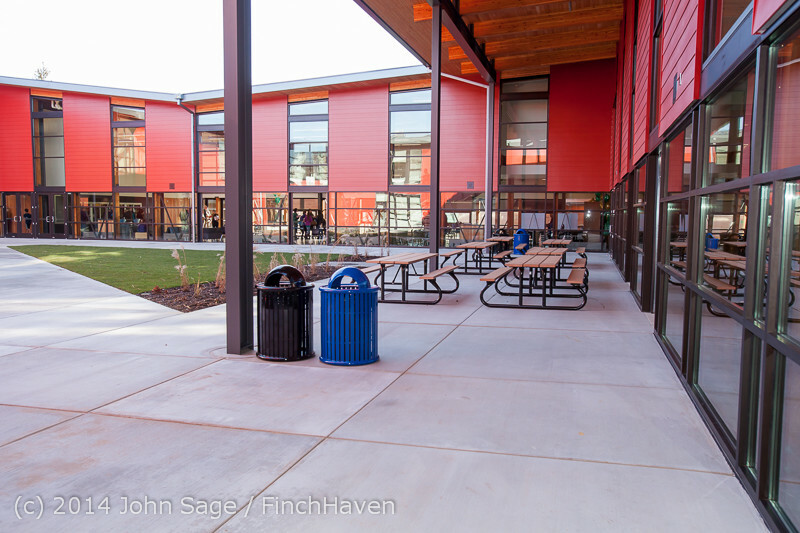 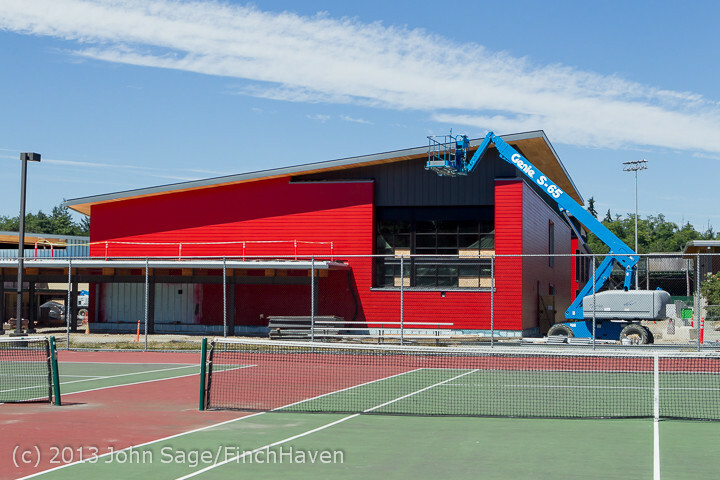 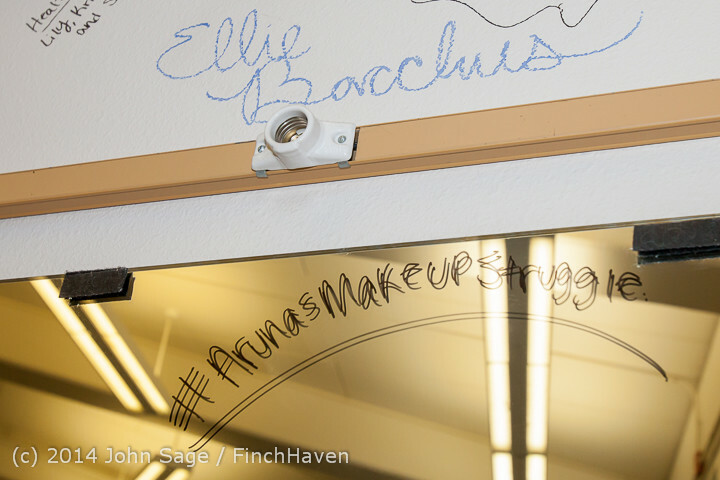 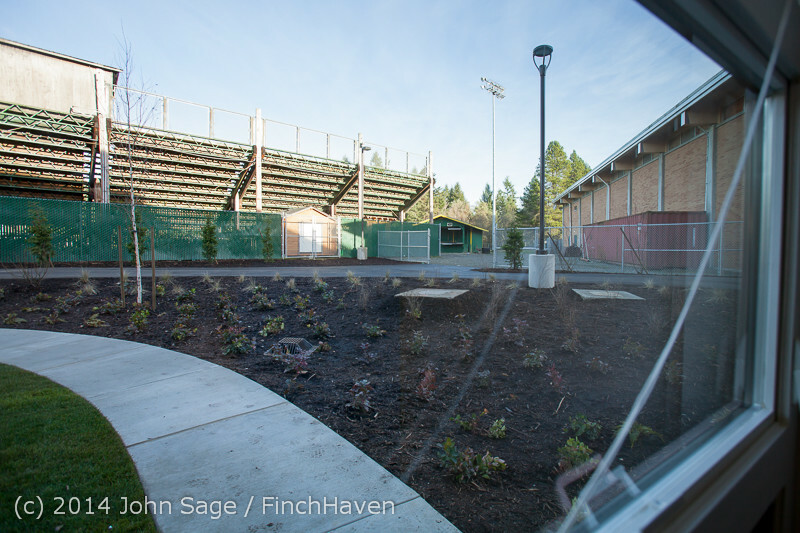 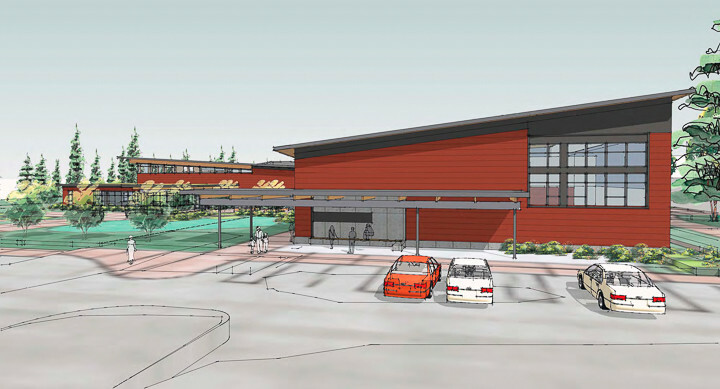 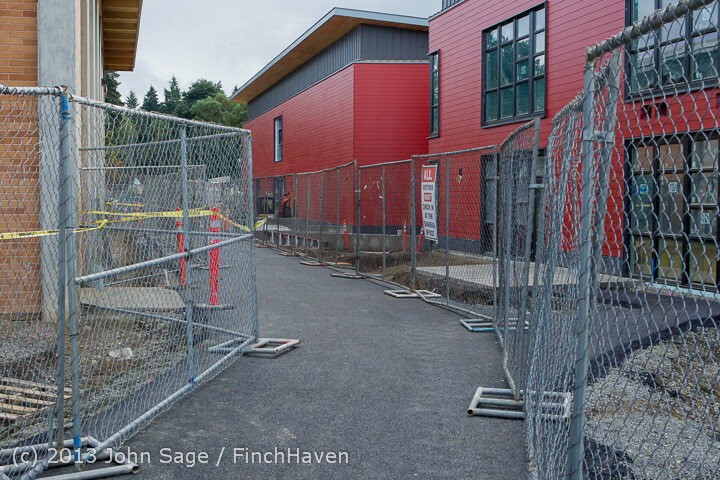 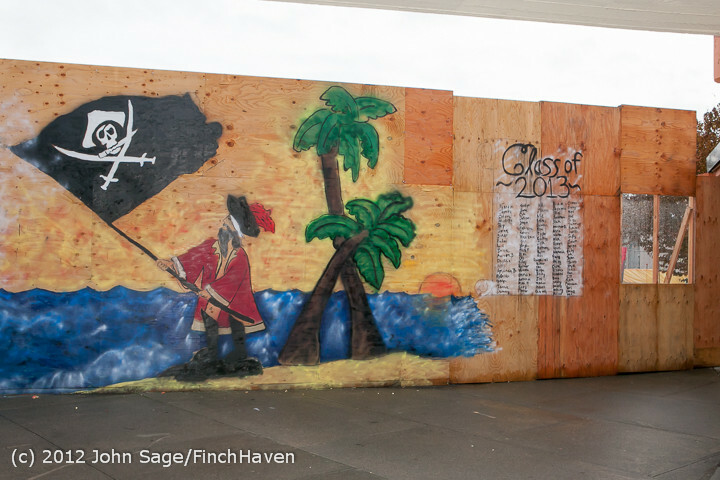 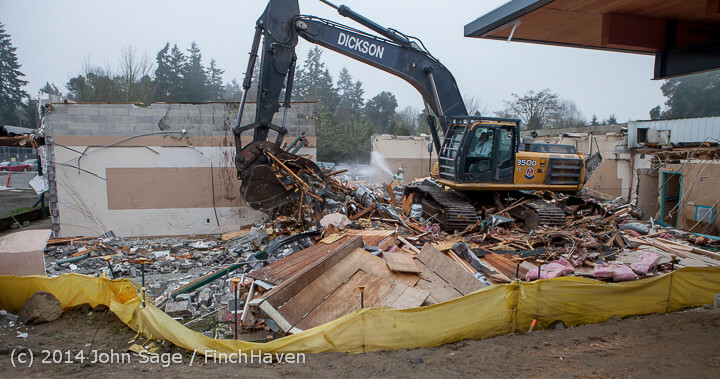 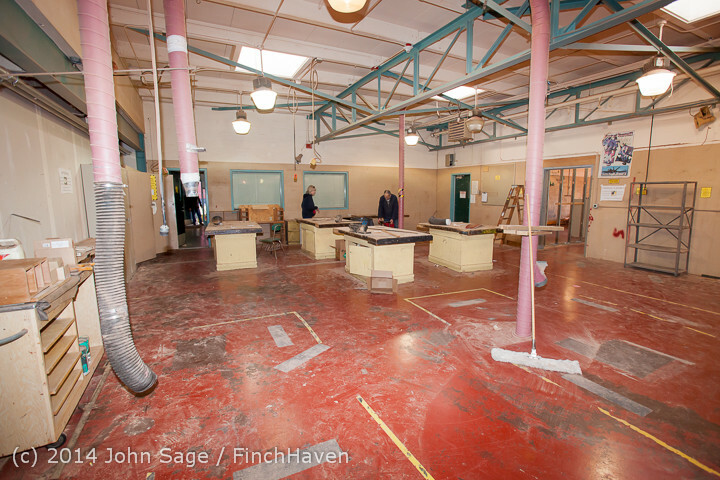 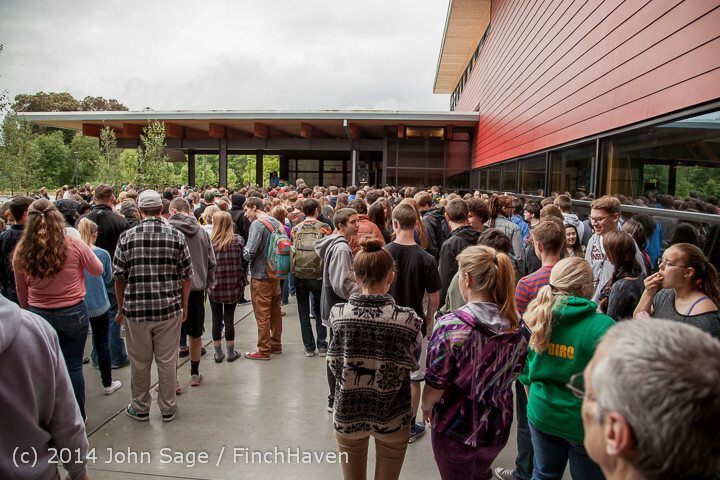 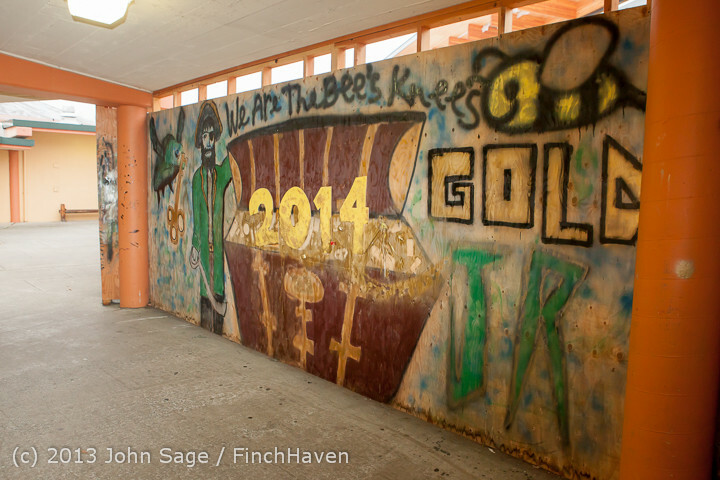 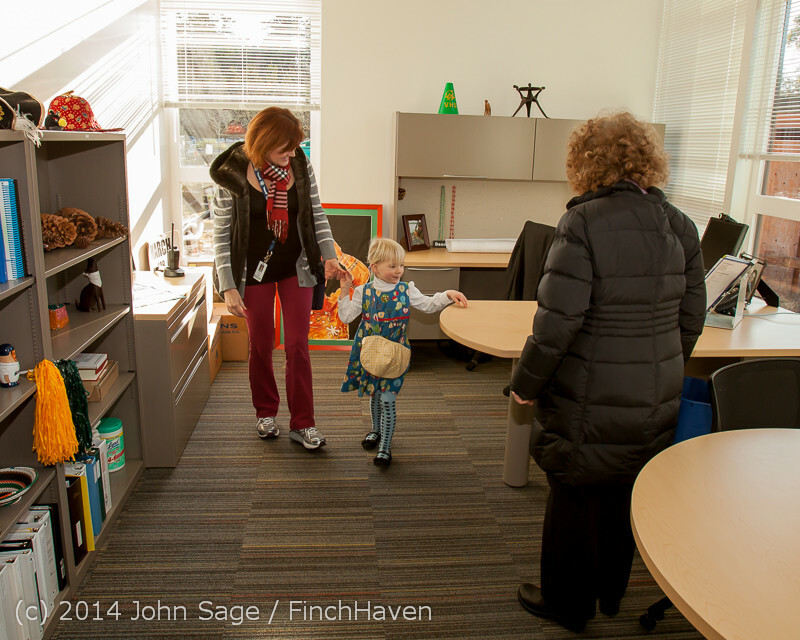 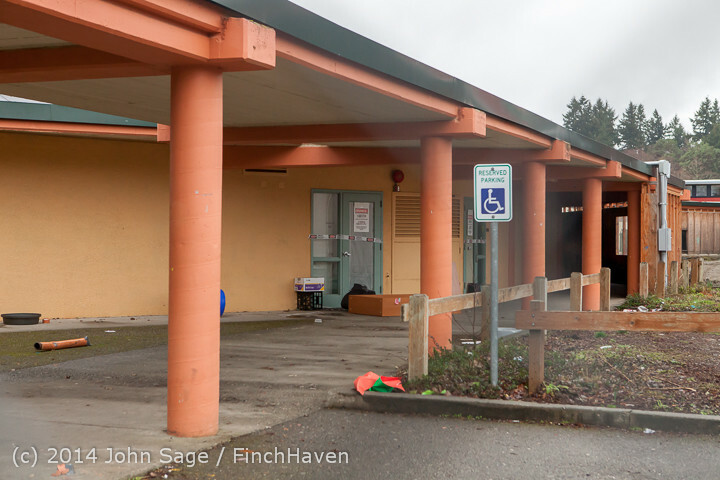 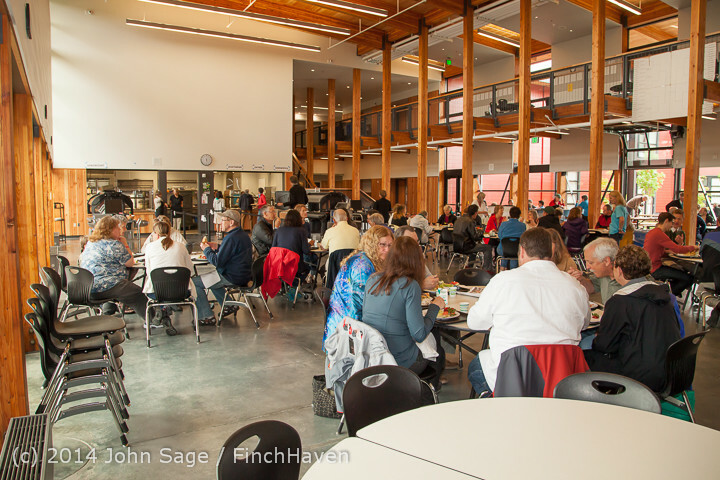 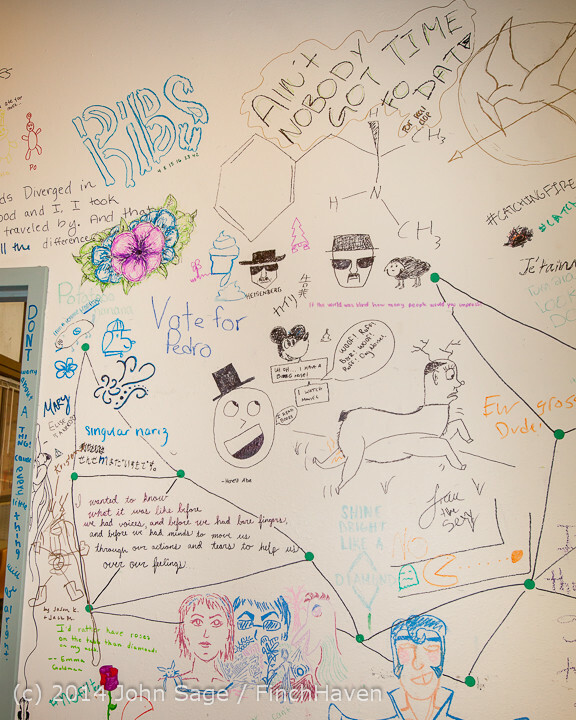 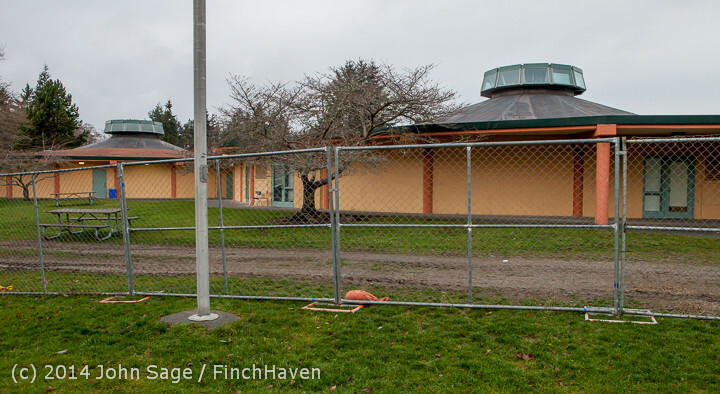 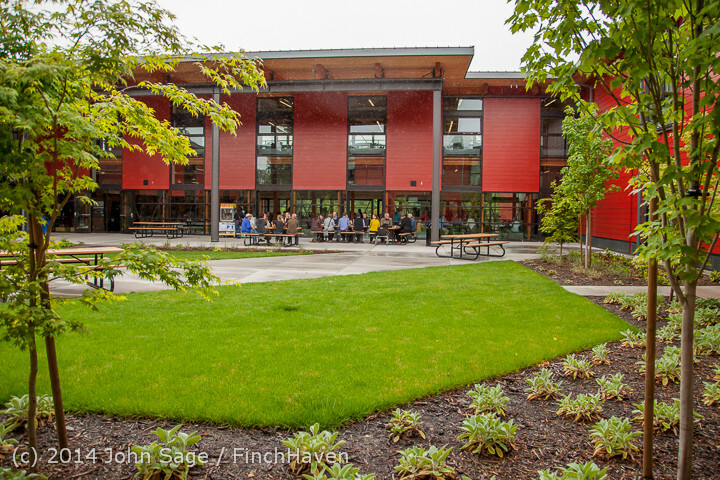 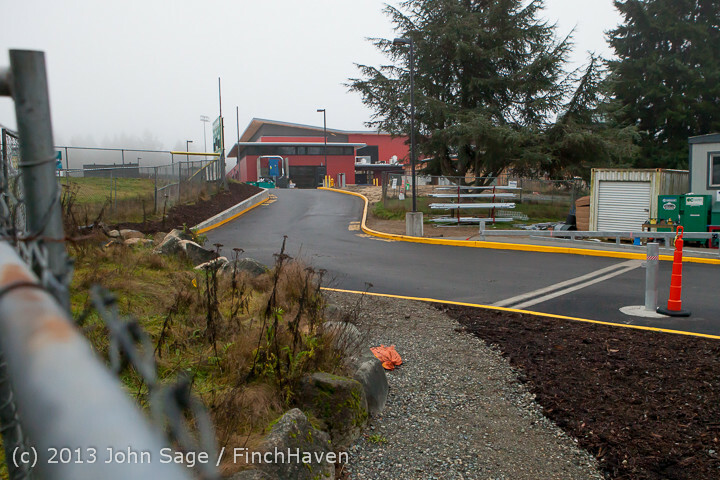 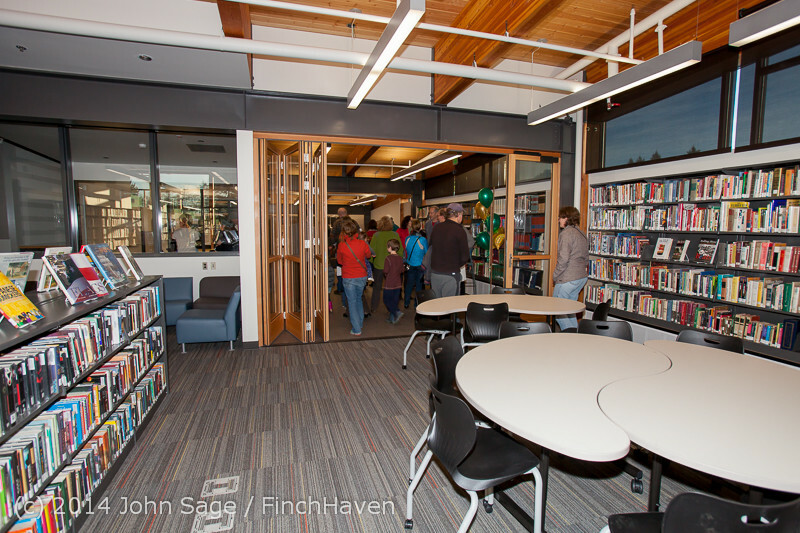 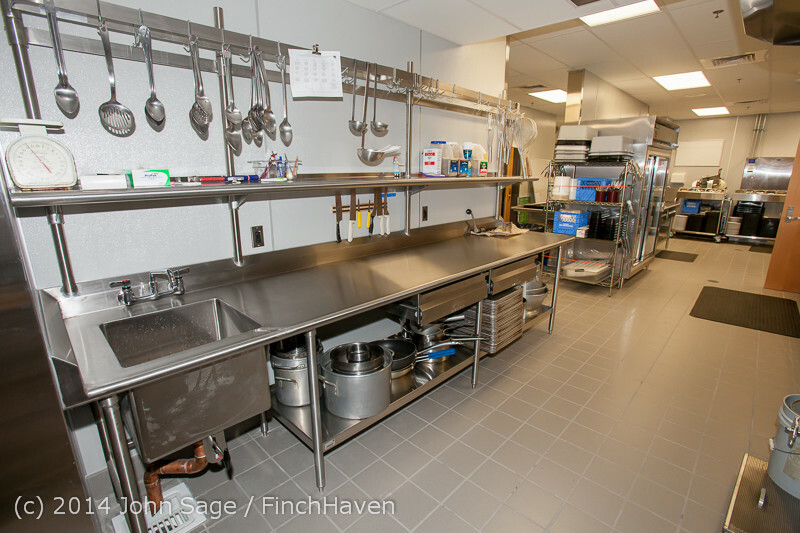 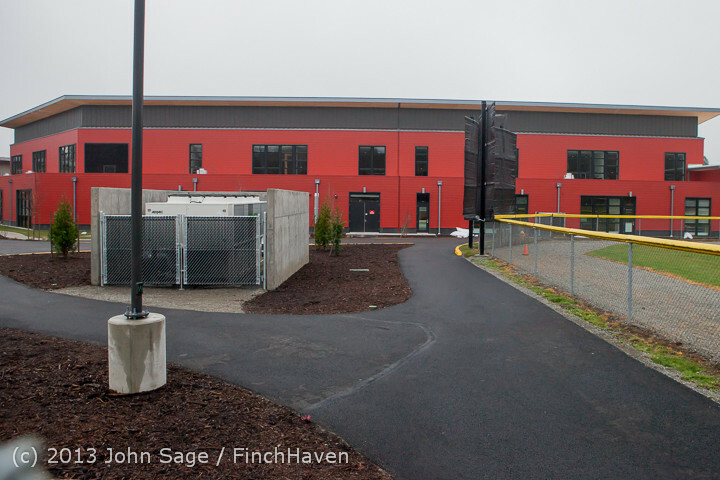 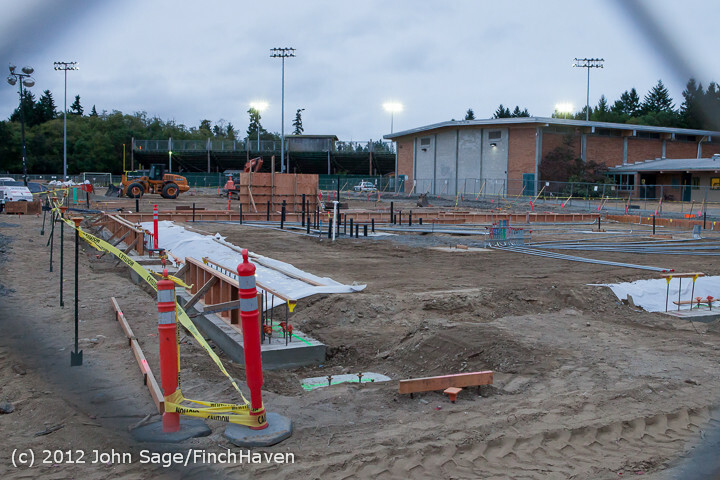 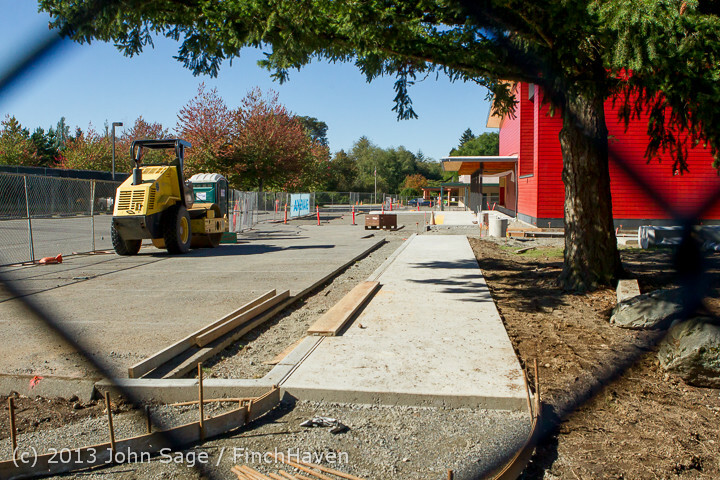 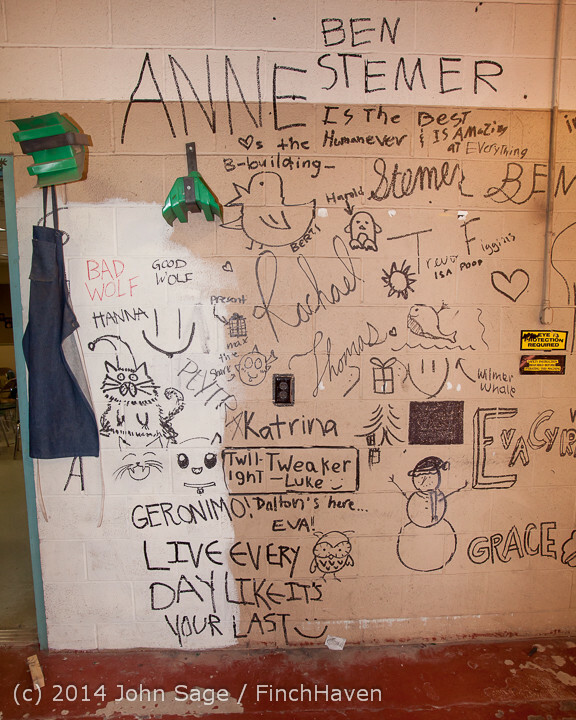 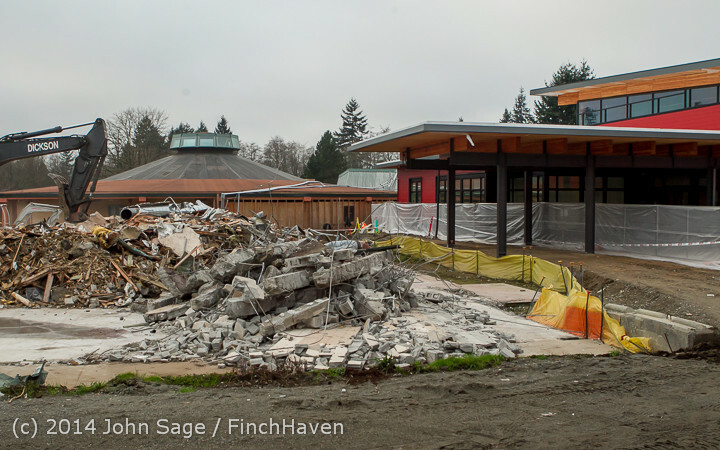 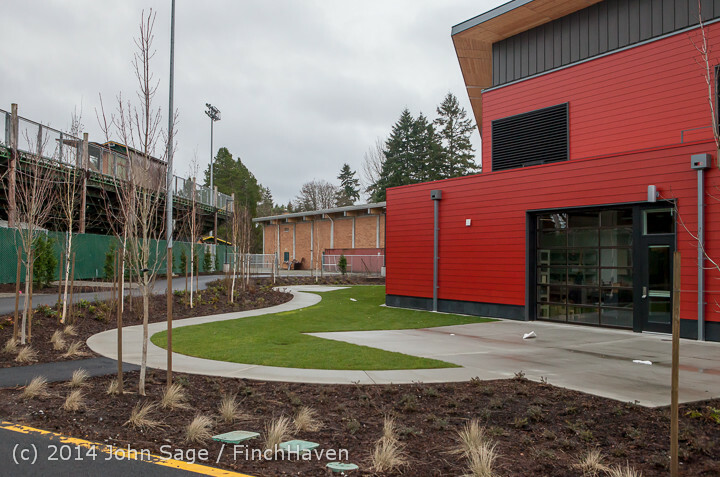 So we're in the New Vashon Island High School right after holiday break, January 2014. 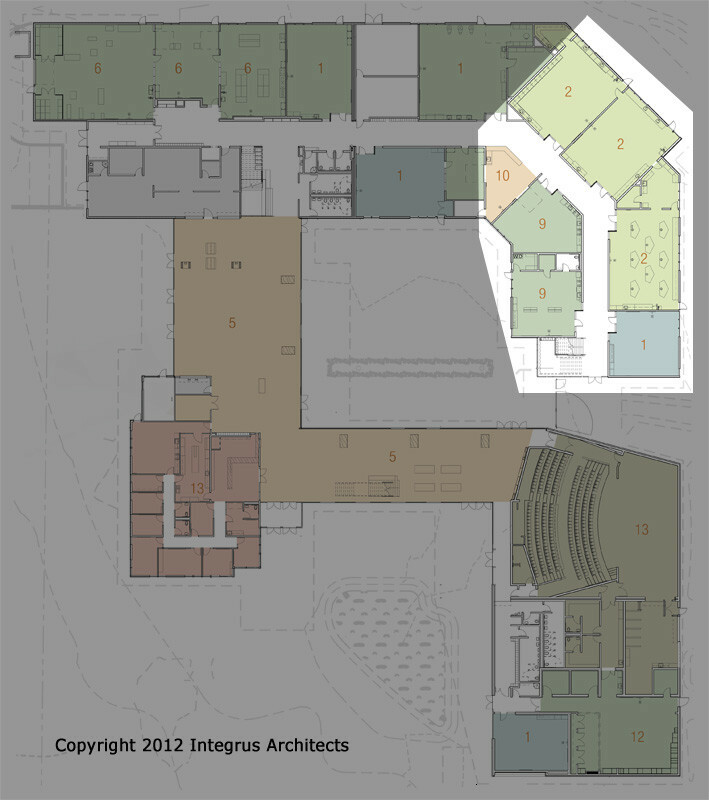 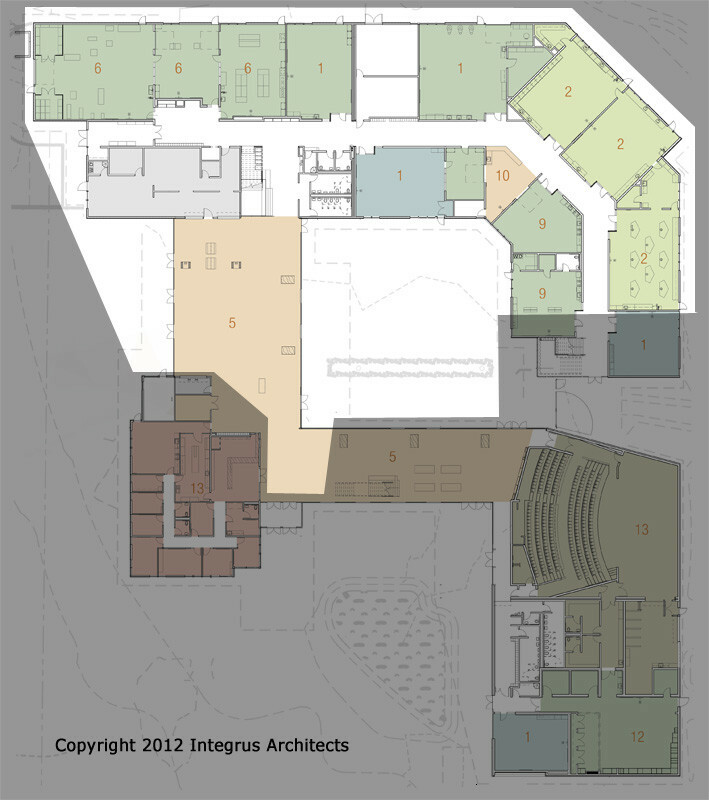 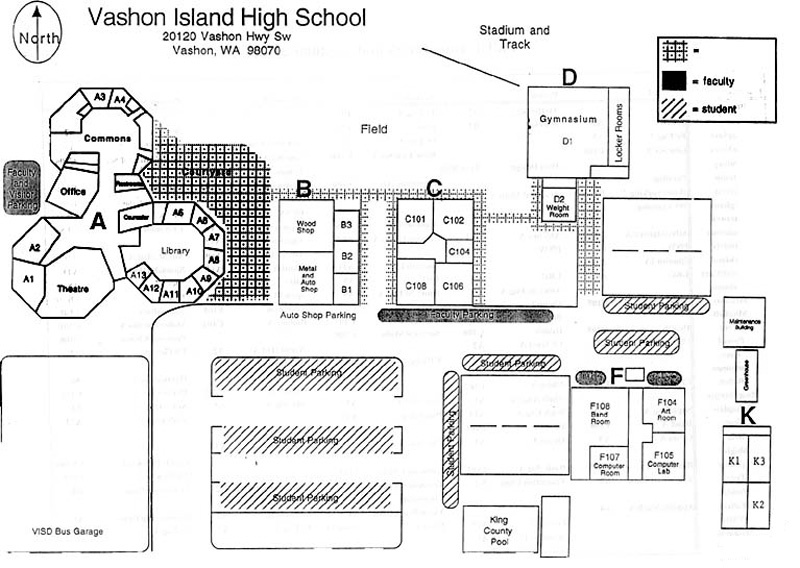 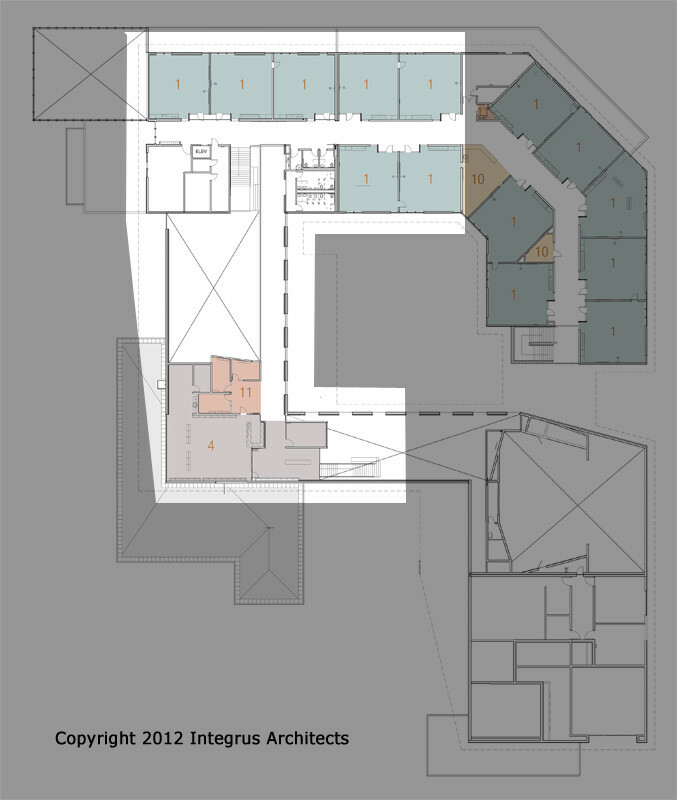 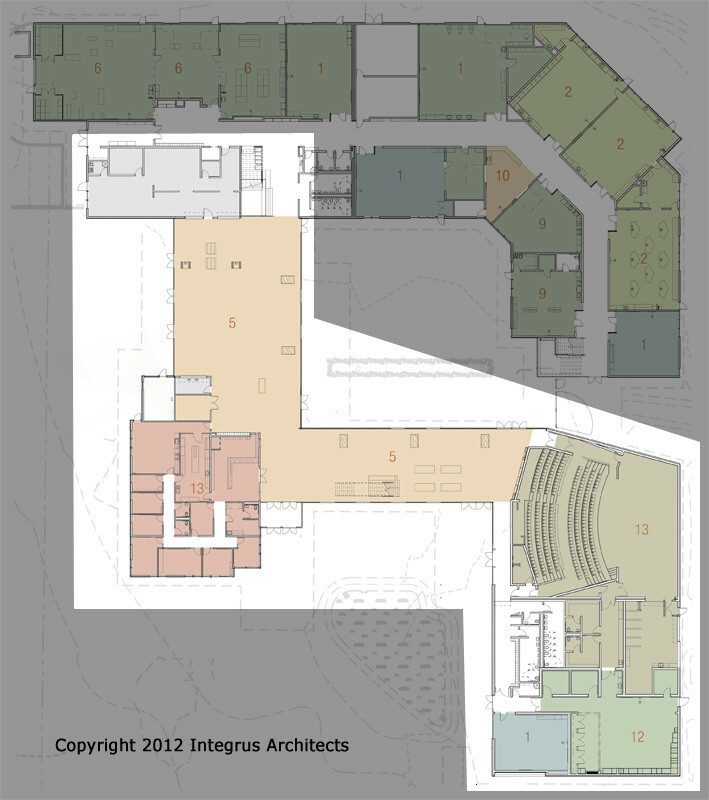 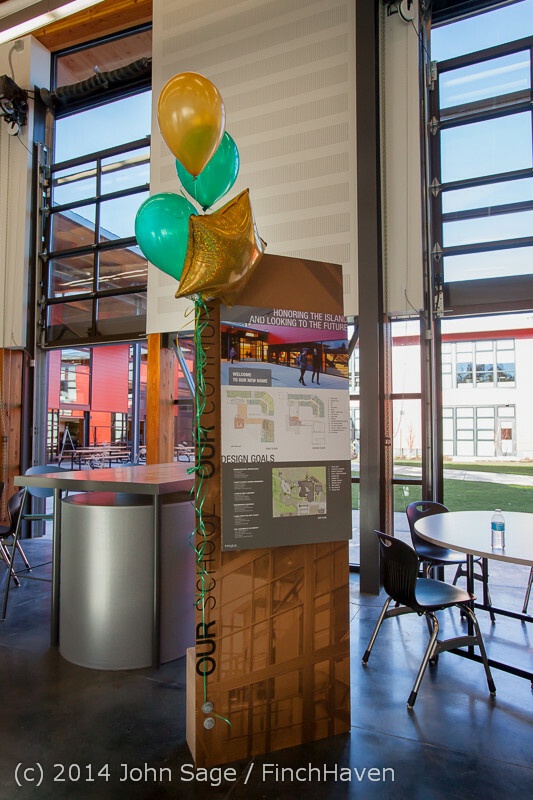 The ghosted floor plans (copyright 2012 Integrus Architects) show which parts of the new Vashon Island High School each Set covers. 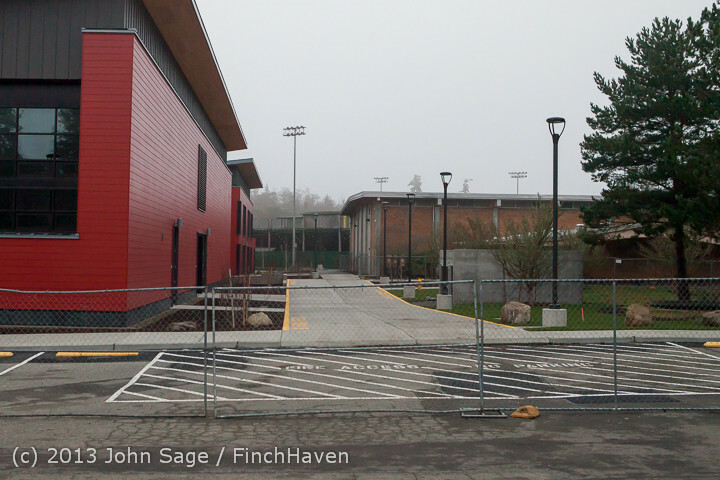 Early fall 2013. 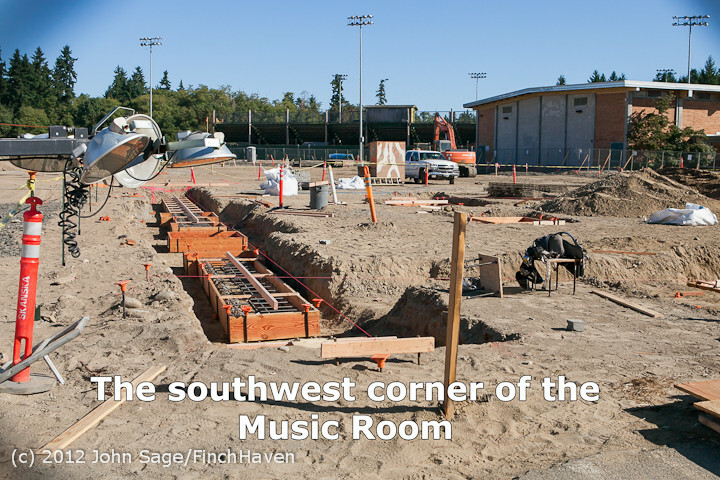 The site generally is improving, but certainly looks unfinished. 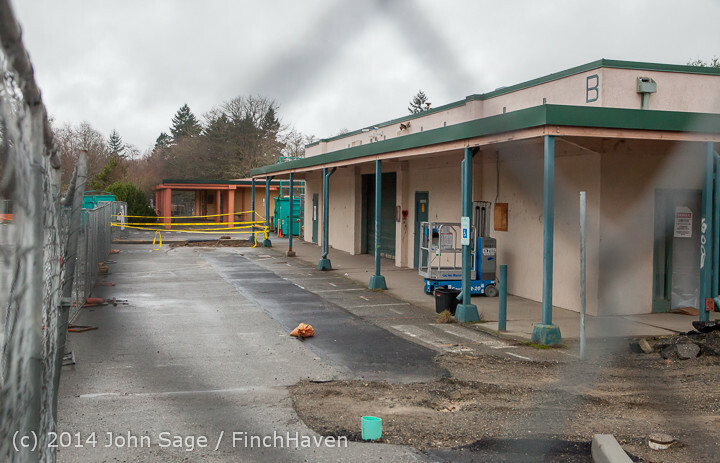 Clearly all the action is happening inside. 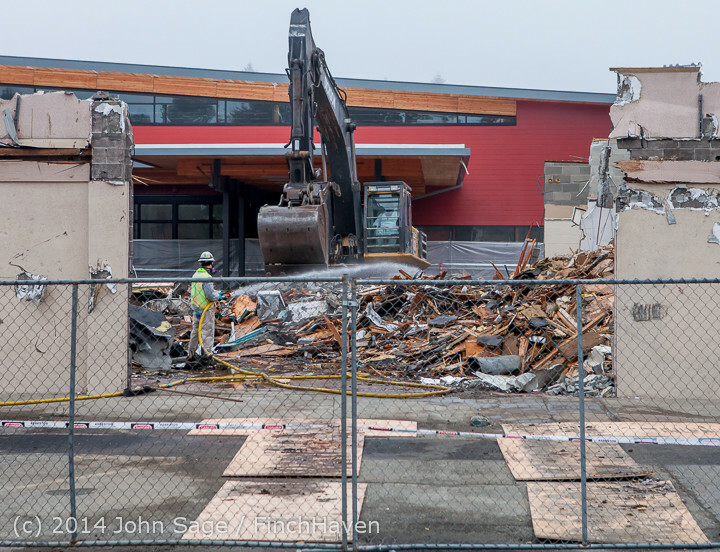 ...so I walked all the way around past the other side of the gym. 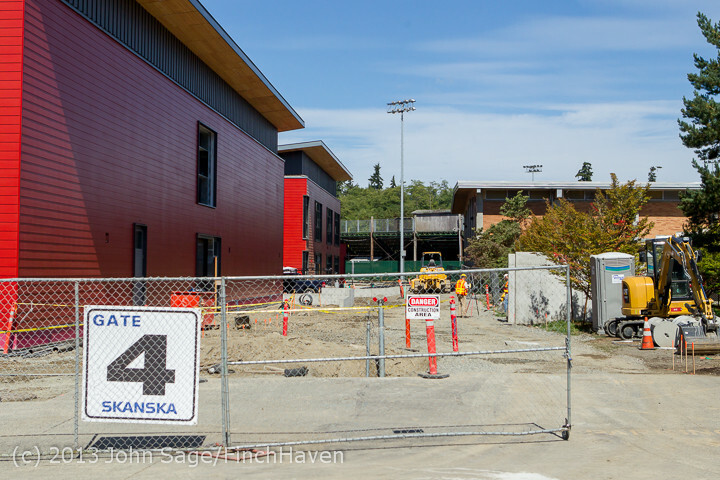 I got a little tour of the entire new perimeter with Sharon (Skanska: site access and safety) including a walk down to the location of the new septic system, where work was still underway and which I hadn't yet seen. 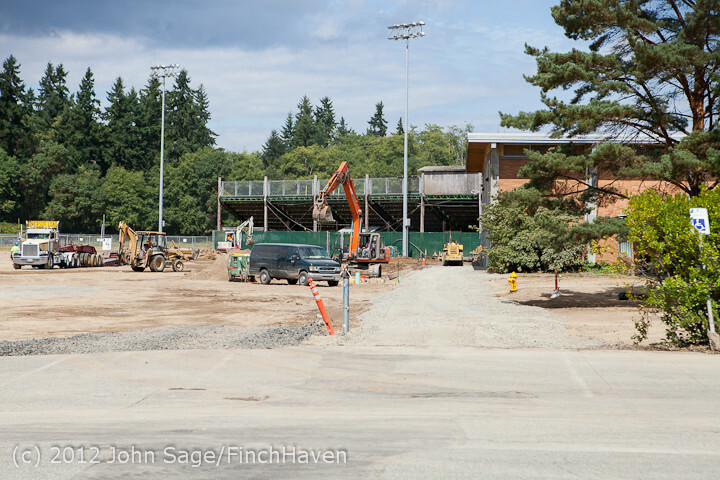 I took basically two laps of the perimeter, one with Sharon and one without, and then went over to McMurray and walked back to the Stadium to get some photos from the top of the bleachers. 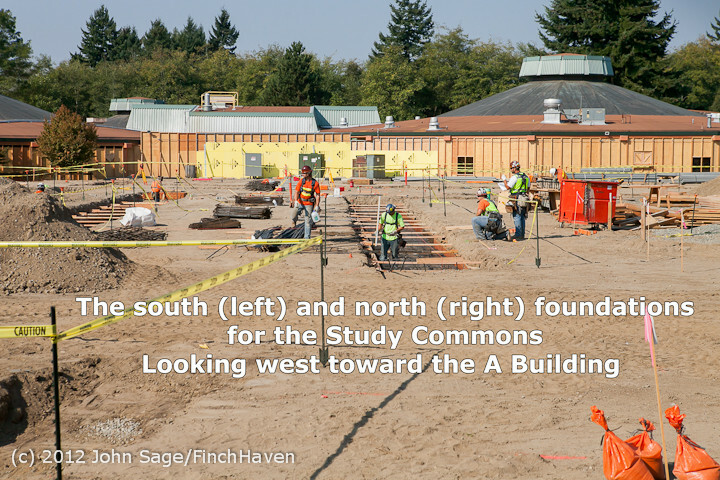 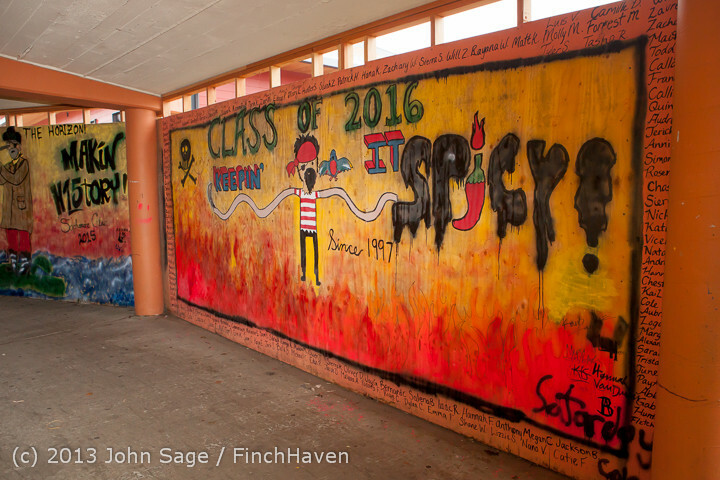 The wall will be finished to completely enclose the A Building because at least one corner of the new high school will be just feet away. 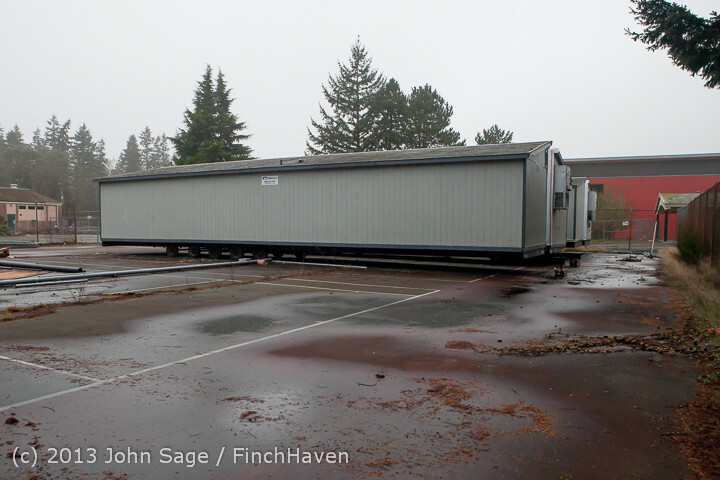 The two new portable on the tennis courts, with the gym in the background. 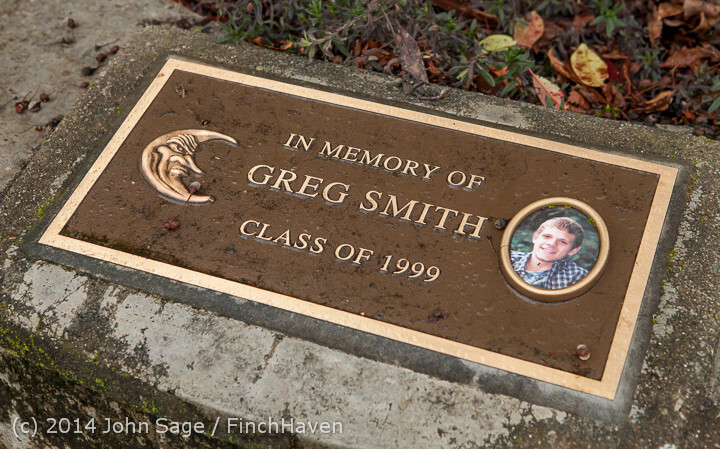 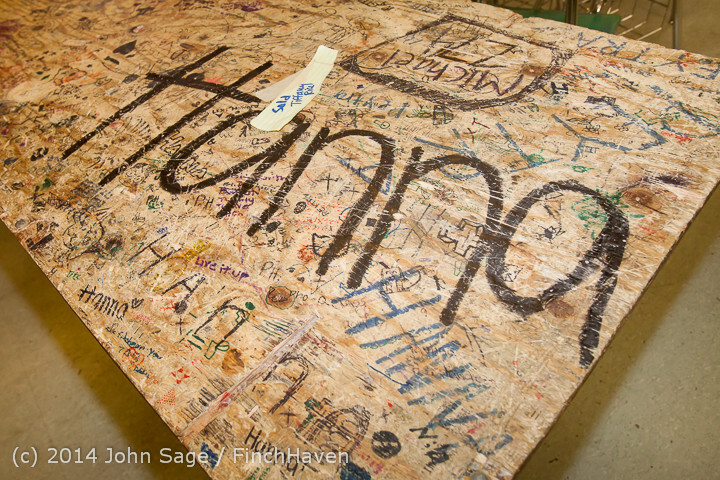 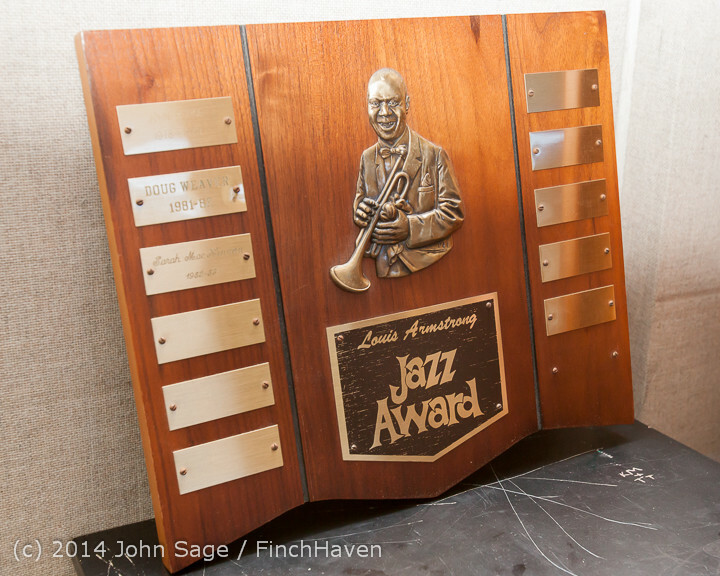 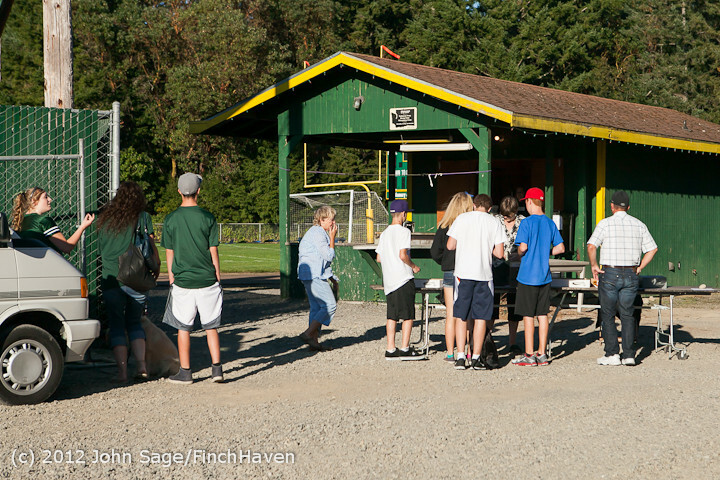 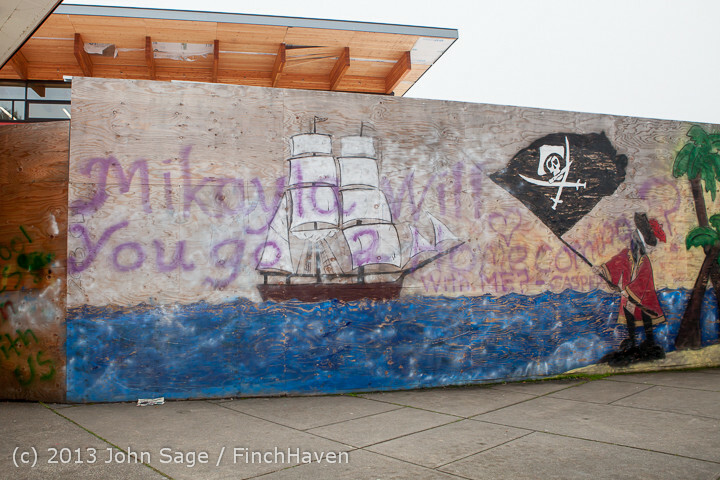 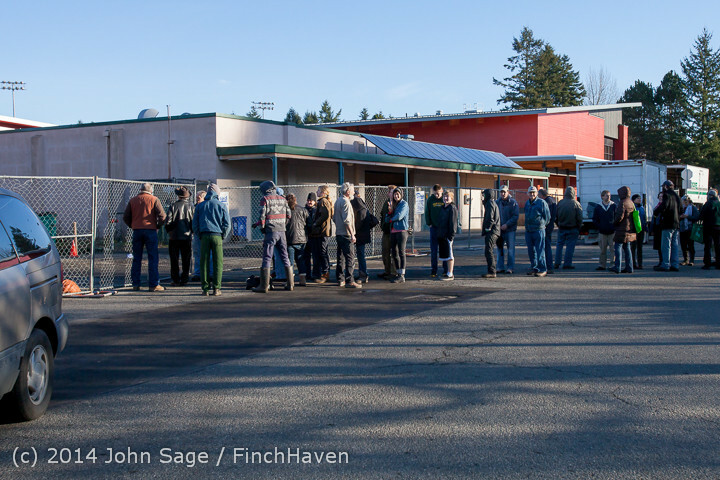 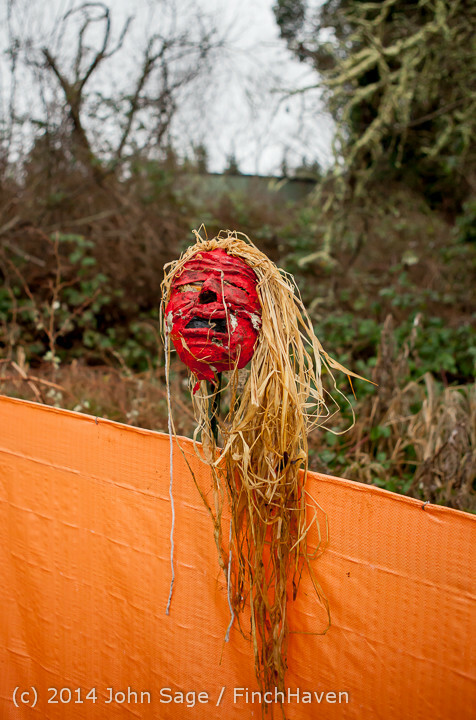 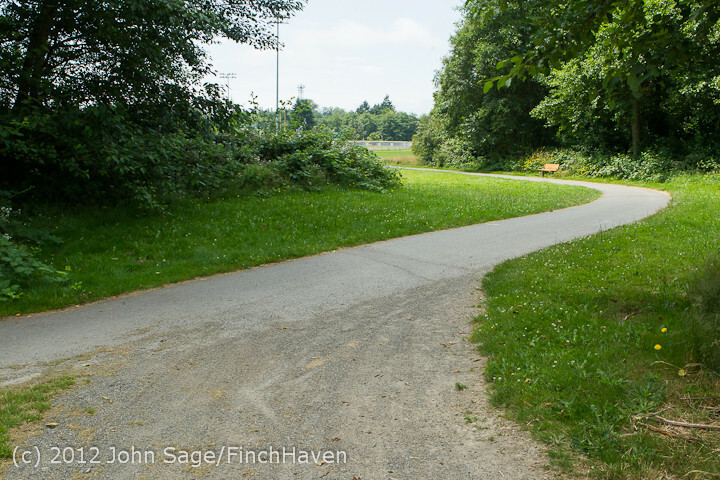 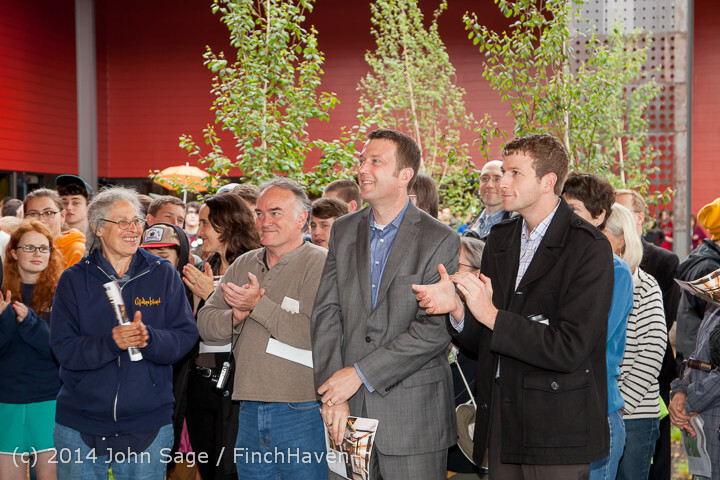 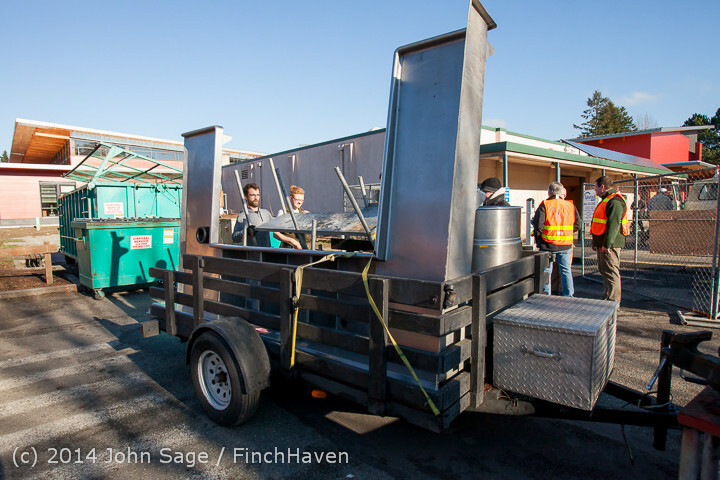 This will probably be the last update until I get the 2012 Vashon Island Strawberry Festival photos done. 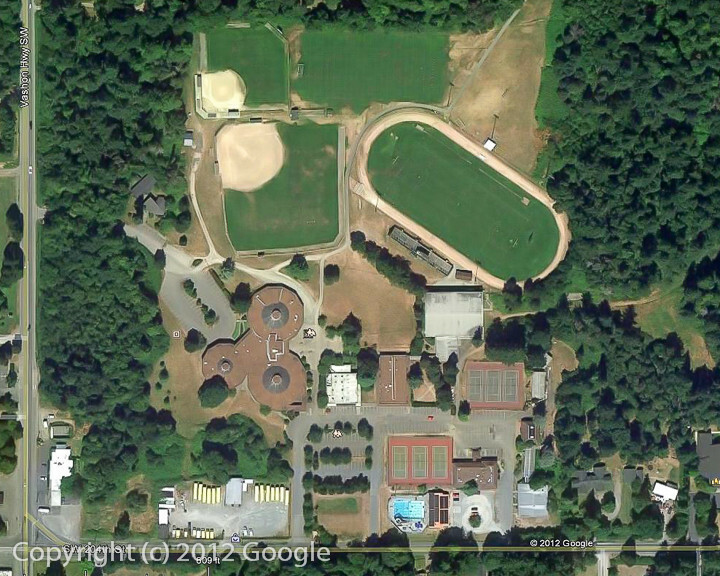 Monday, July 16, 2012. 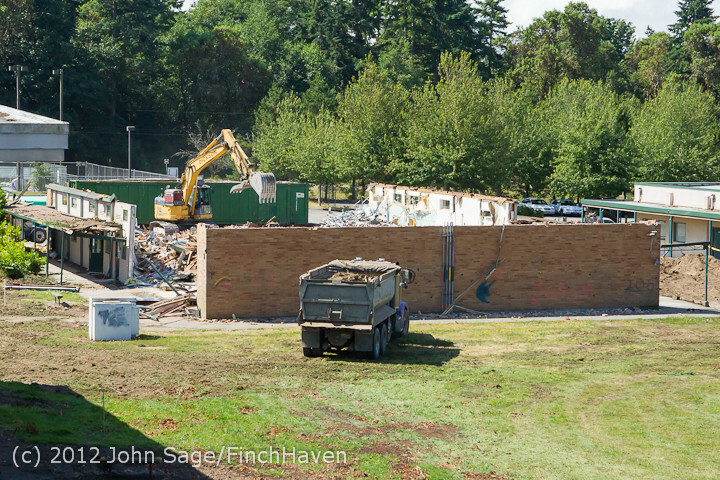 Building C is down to the back wall and parts of the side walls, and they're trucking debris off-Island. 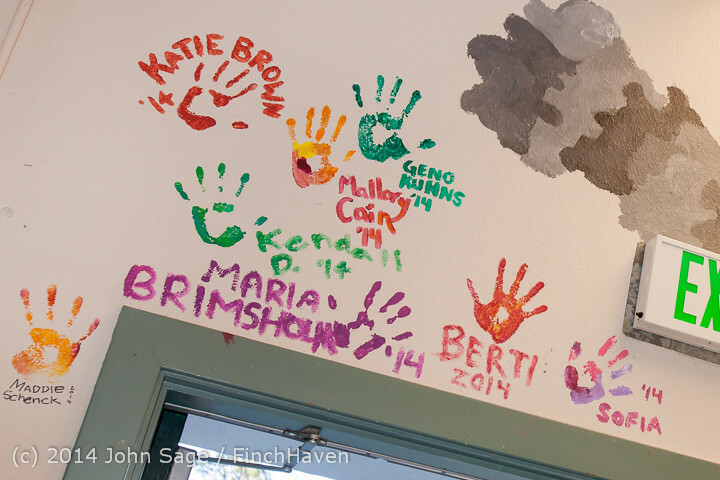 Plus, barn swallows, and a peregrin! 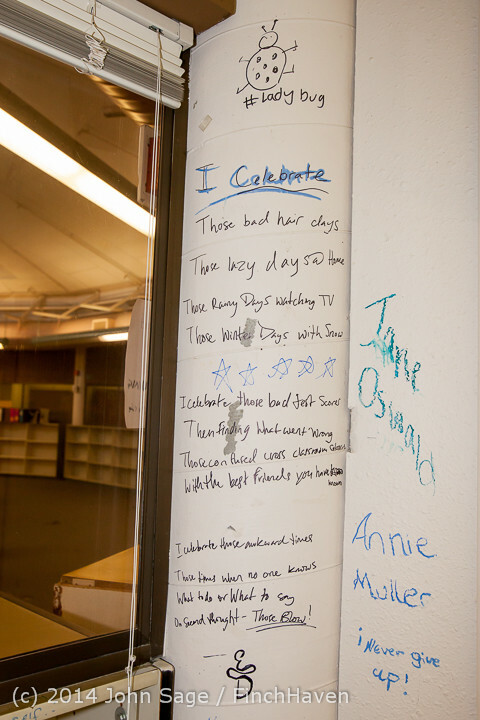 Day two, Friday, July 13, 2012. 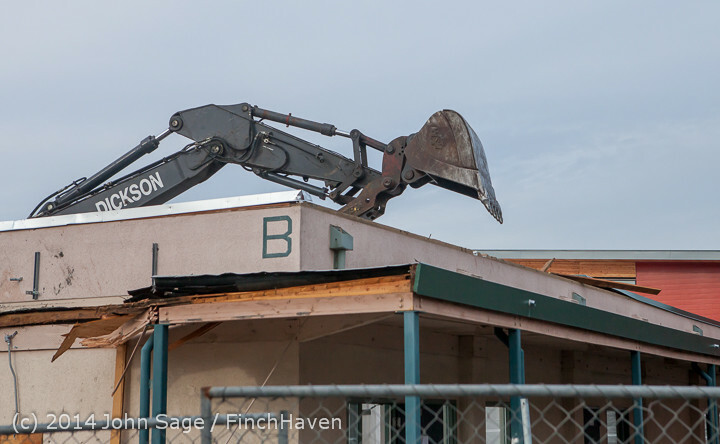 Demolition's progressed, to say the least. 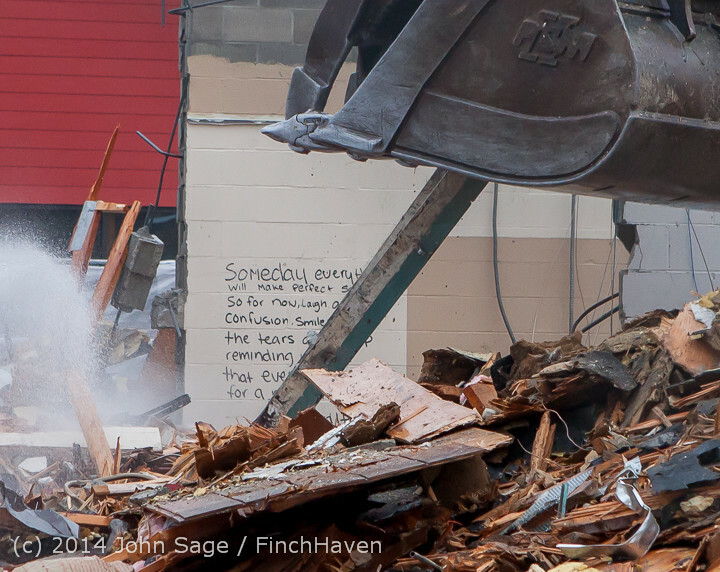 There's almost nothing left but three walls of the building shell, and a bunch of sorted debris. 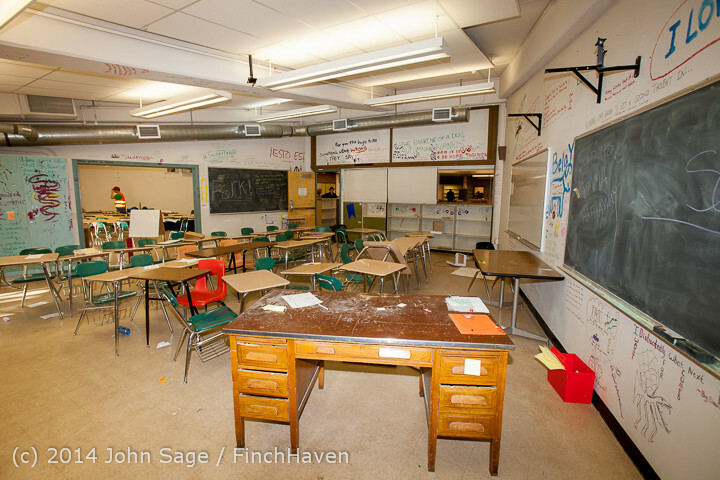 Day one, Thursday, July 12, 2012. 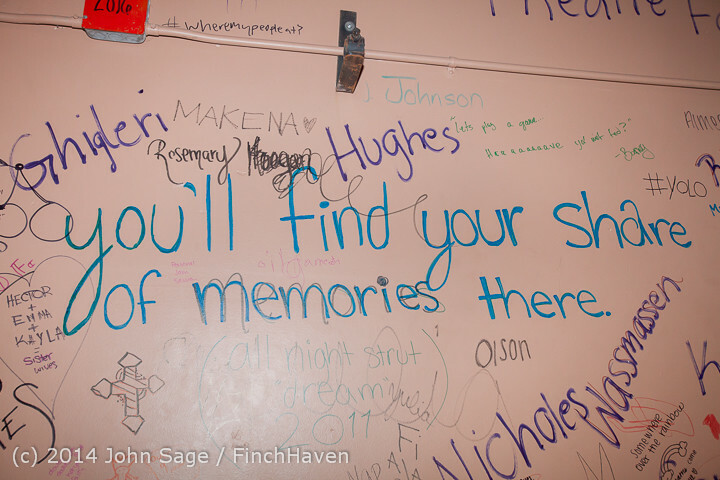 I went down in the morning, and again in the afternoon. 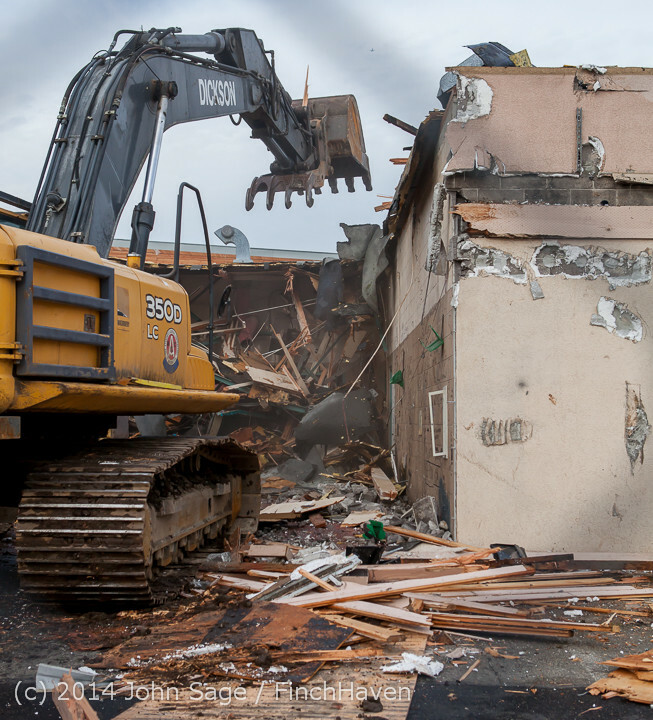 In morning the front wall had been knocked down and the interior was being gutted. 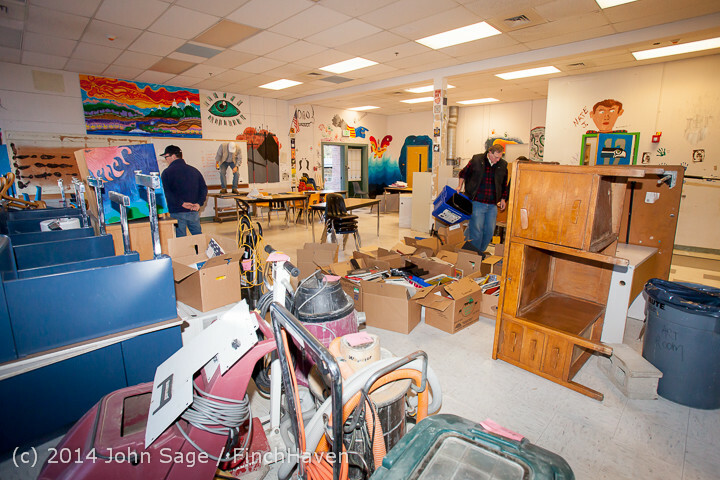 Way more time was being spent sorting and piling scrap than actually knocking anything down. 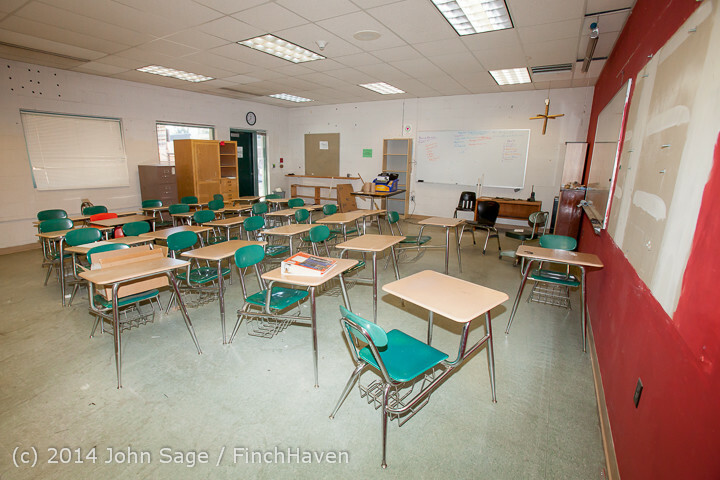 Day one, Thursday, July 12, 2012. 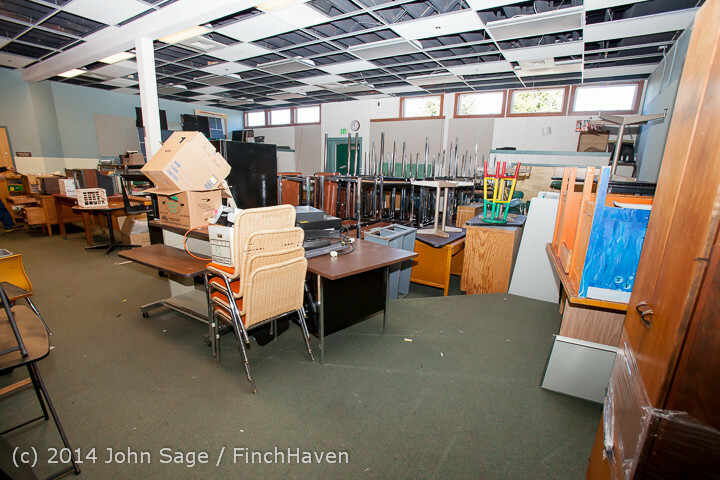 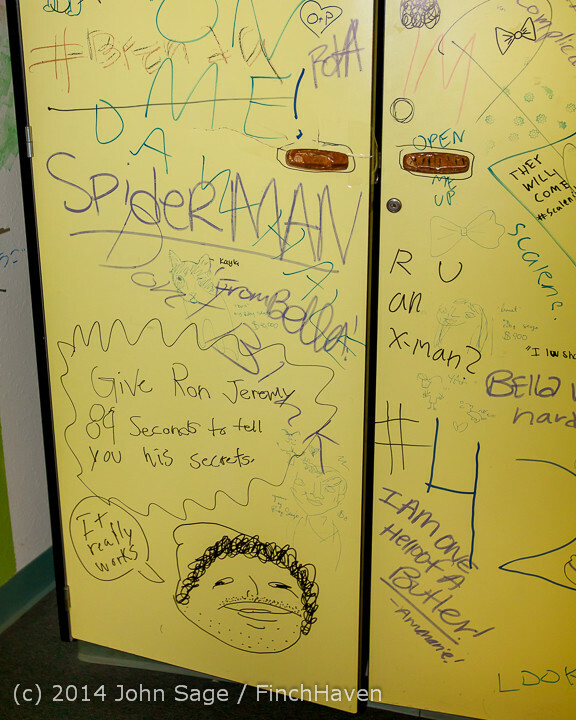 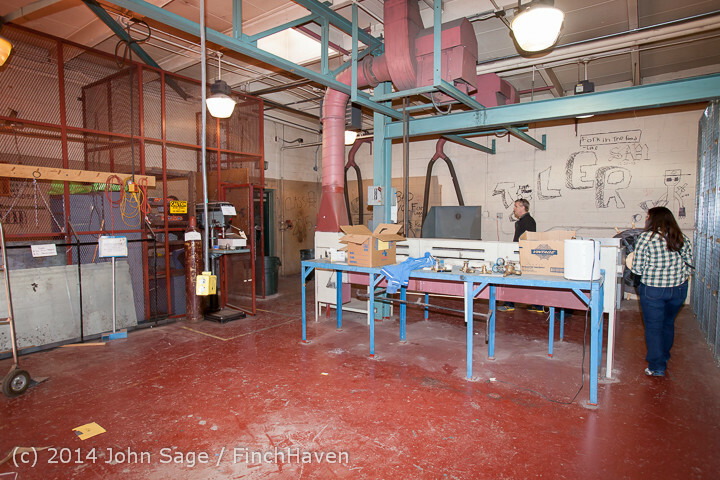 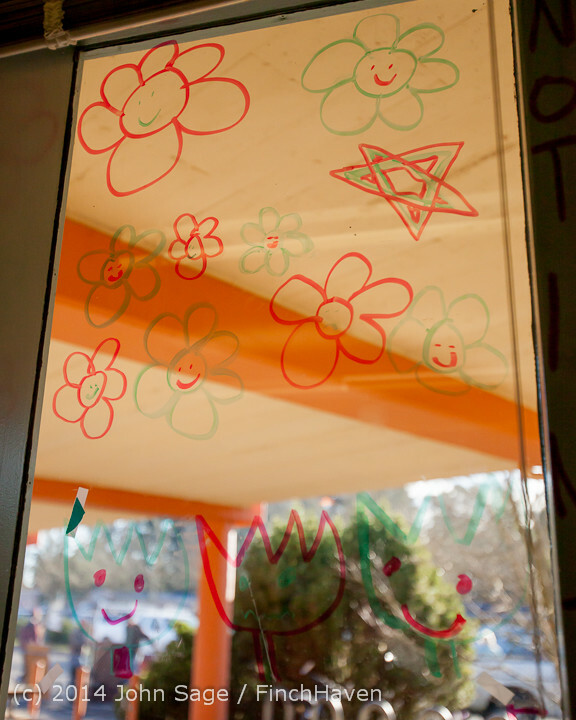 By that afternoon the interior had been gutted back to the second set of classrooms.